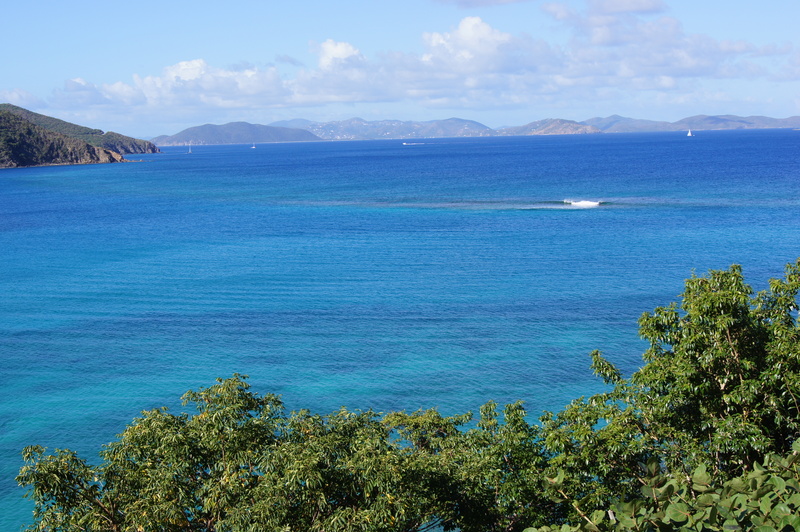 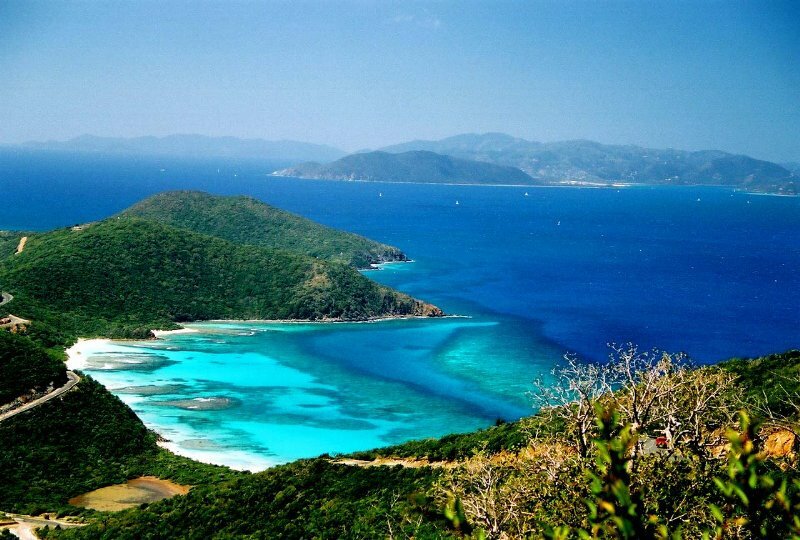 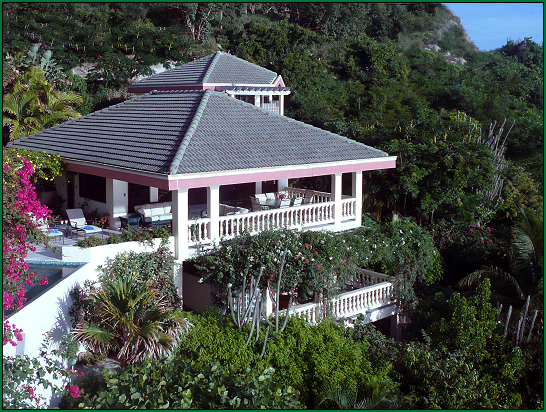 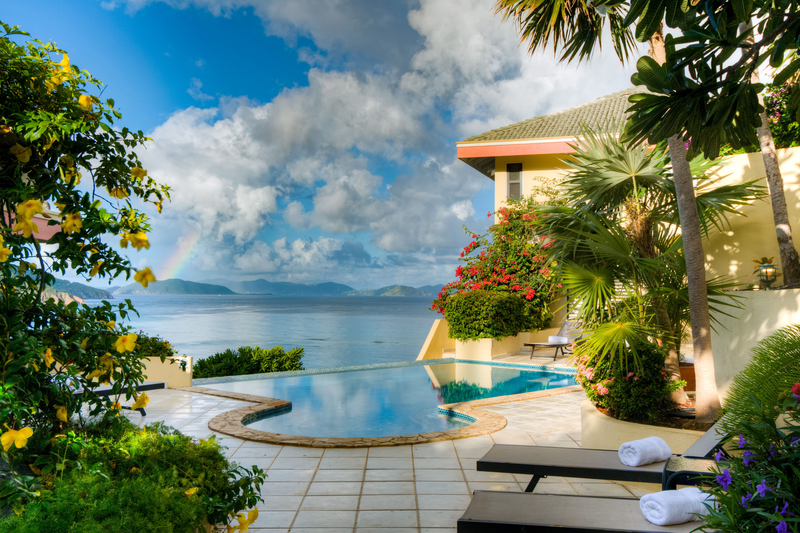 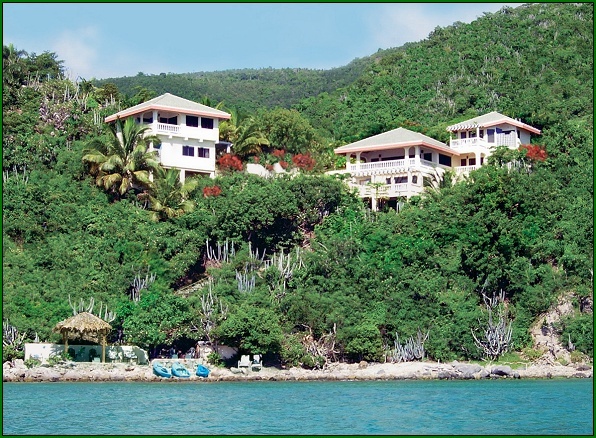 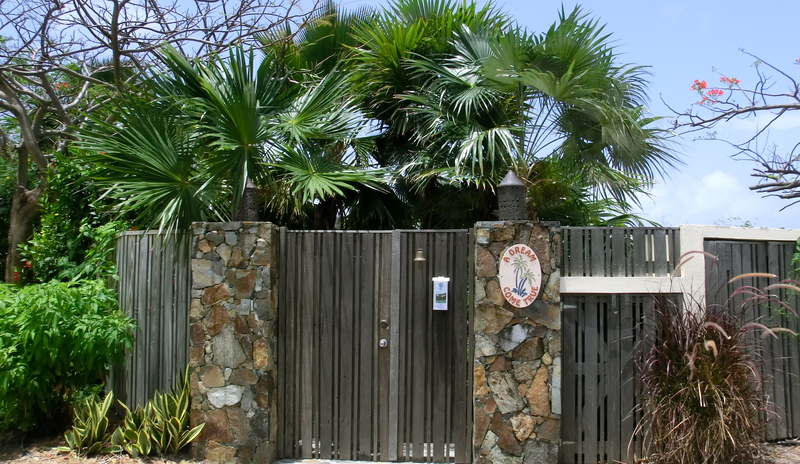 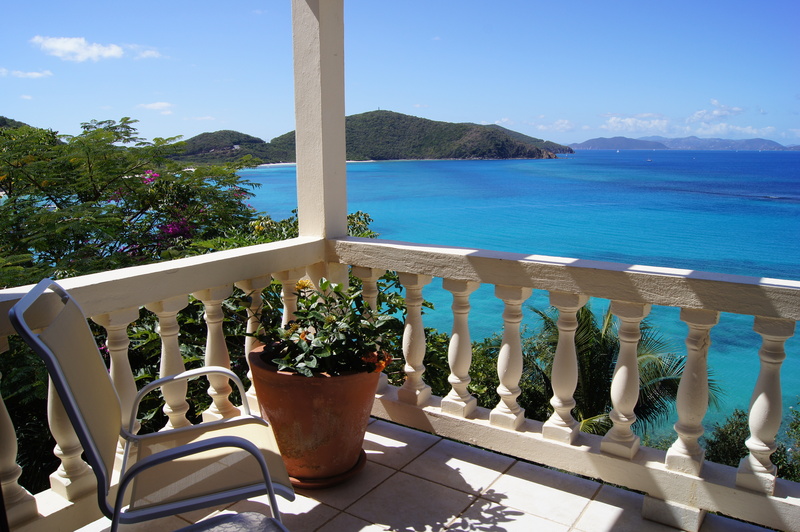 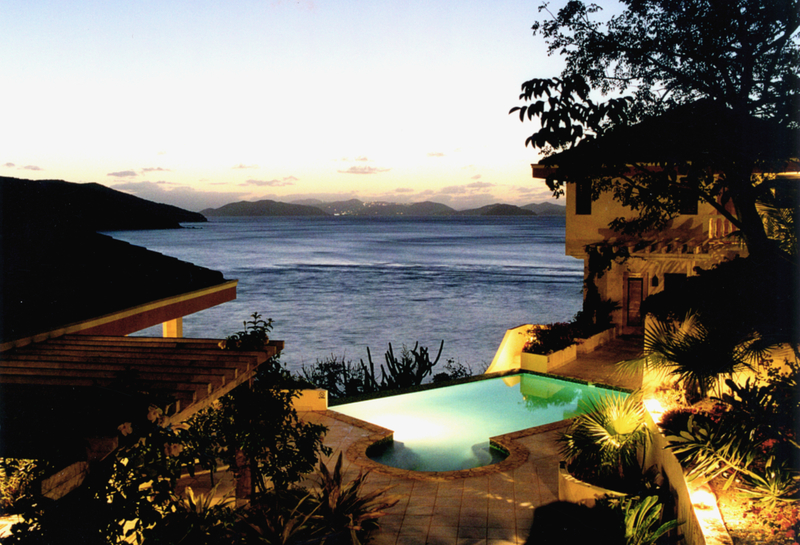 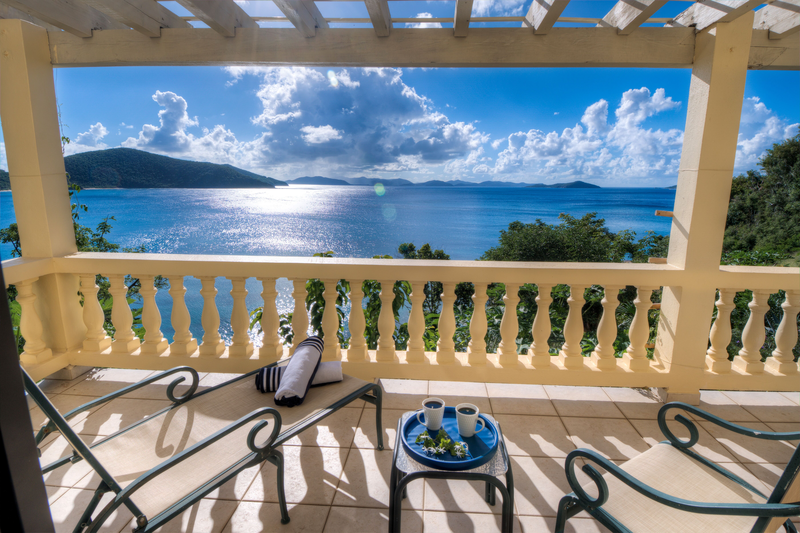 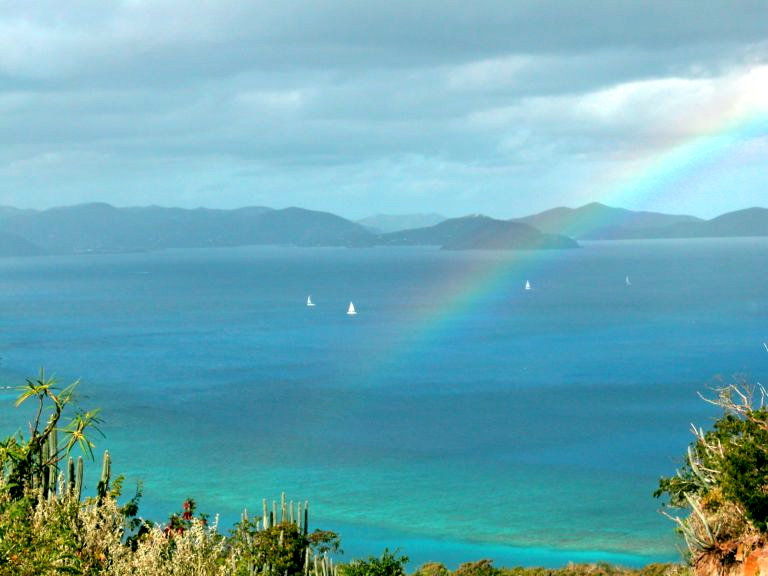 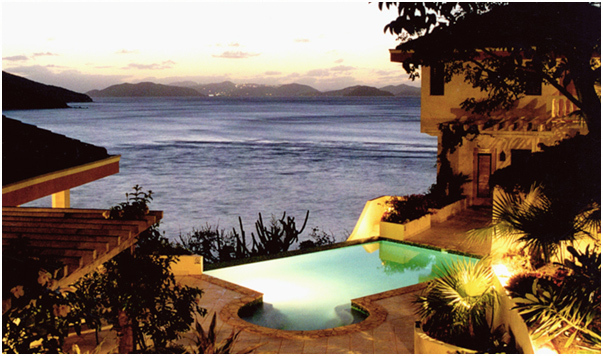 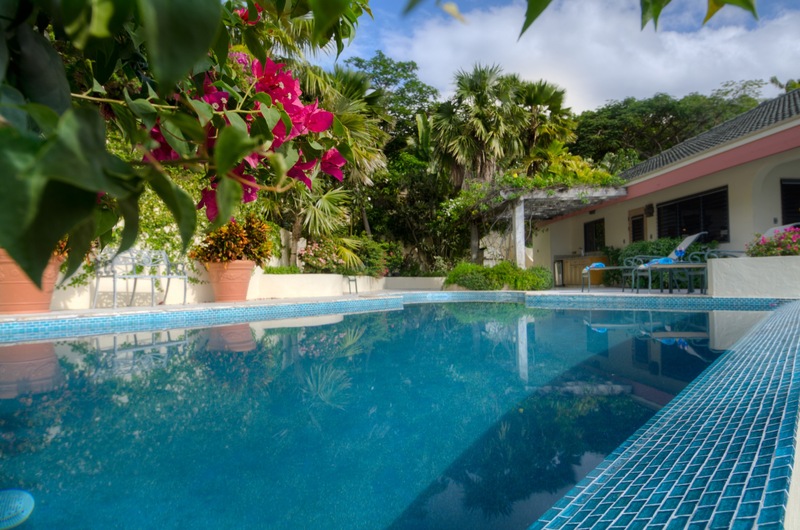 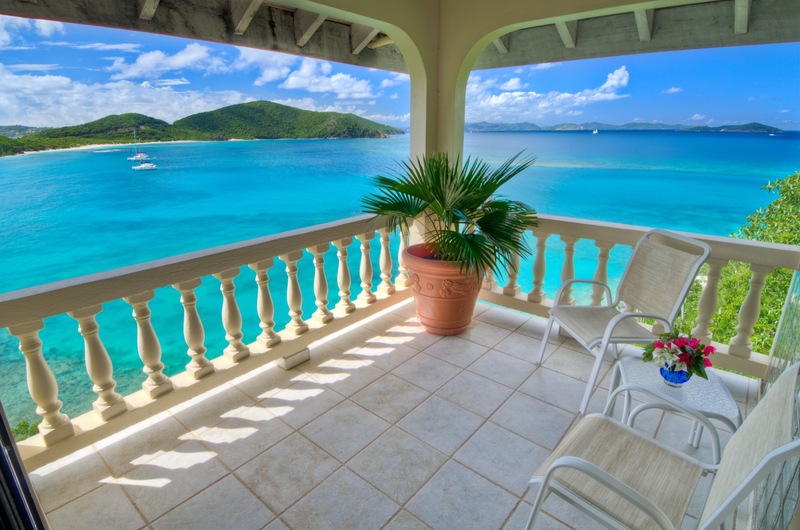 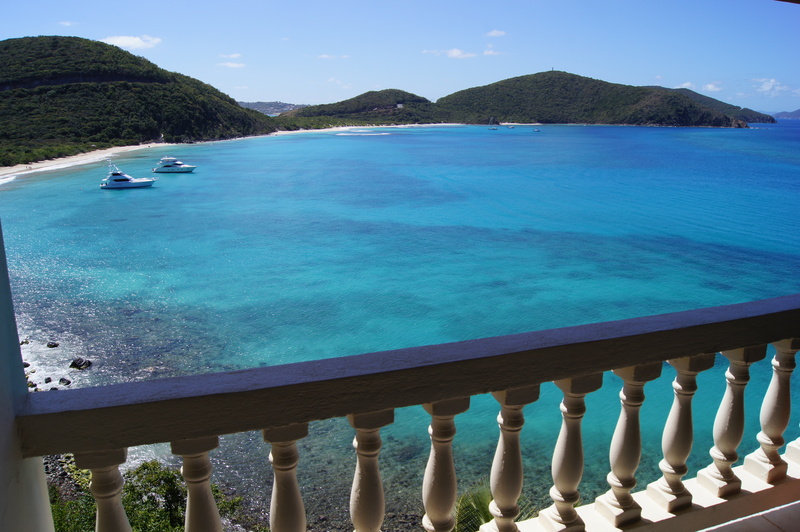 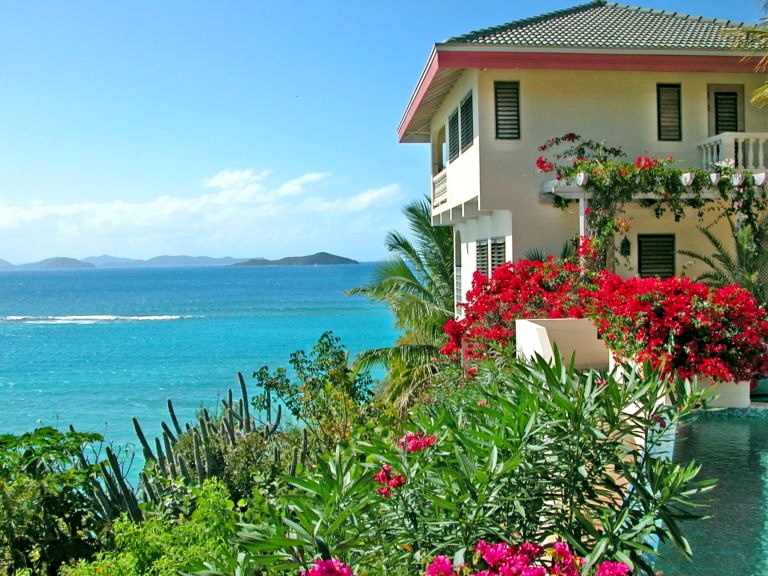 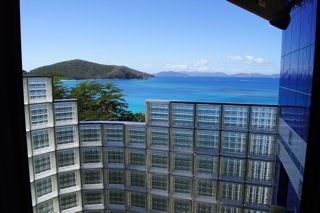 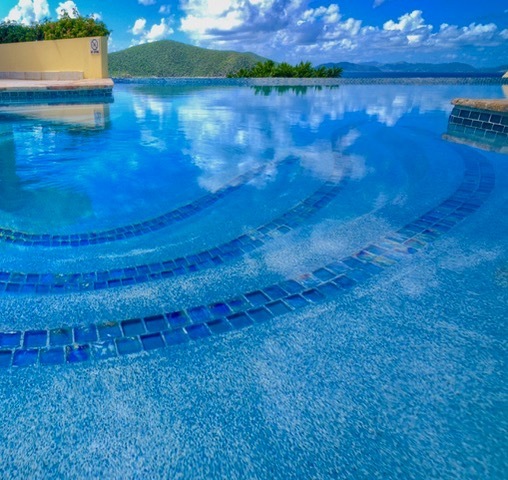 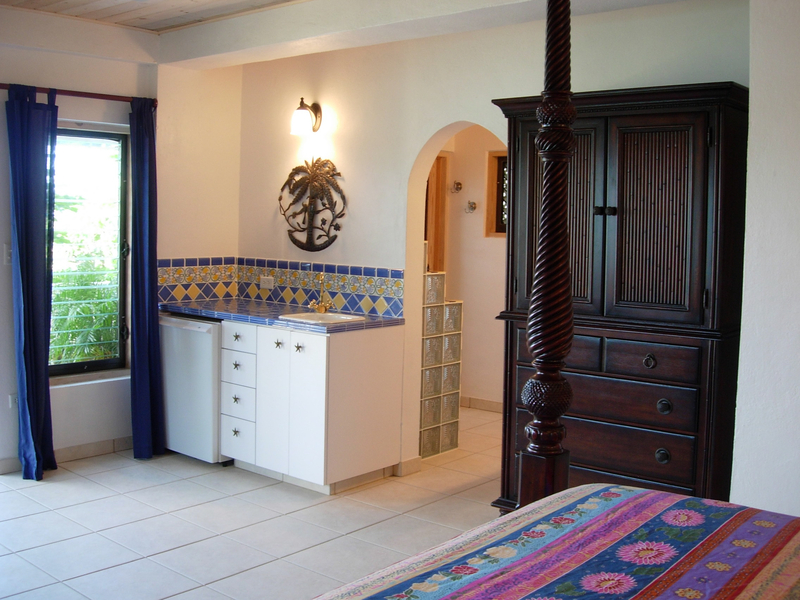 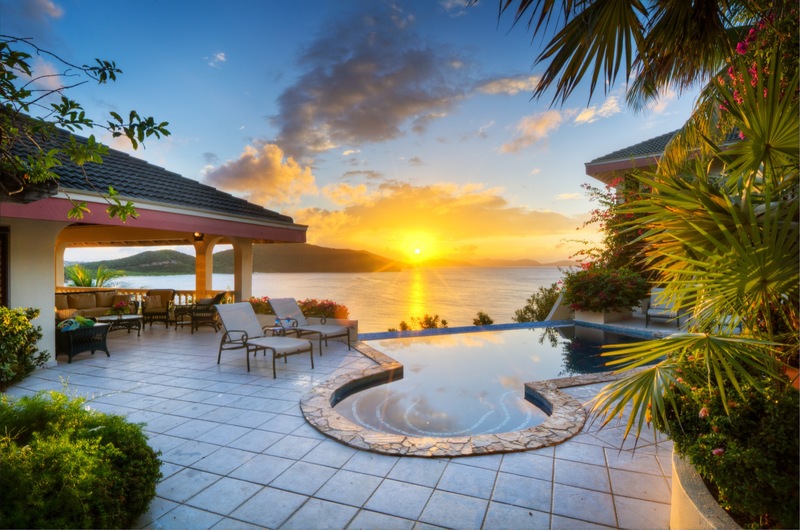 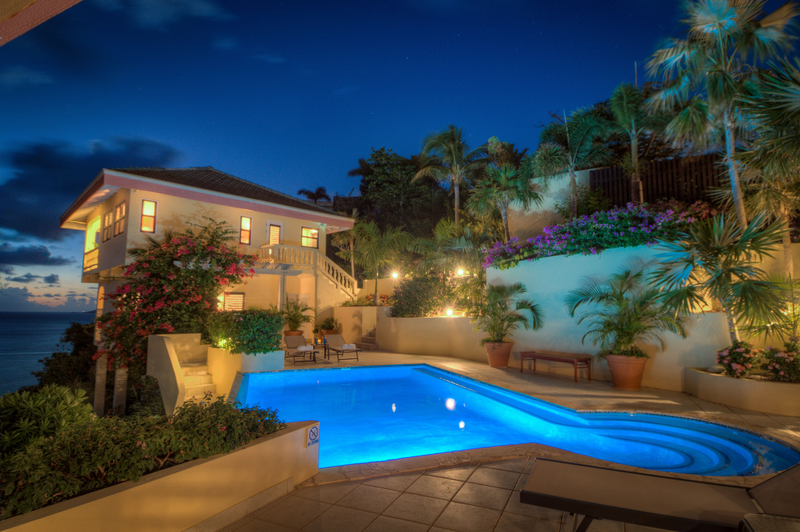 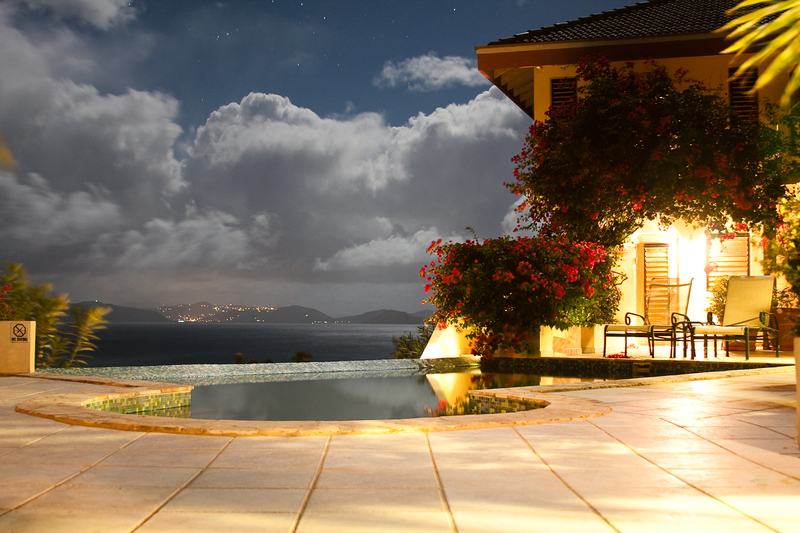 A Dream Come True Villa is an oceanfront luxury 5 bedroom villa for rent in Virgin Gorda, British Virgin Islands. 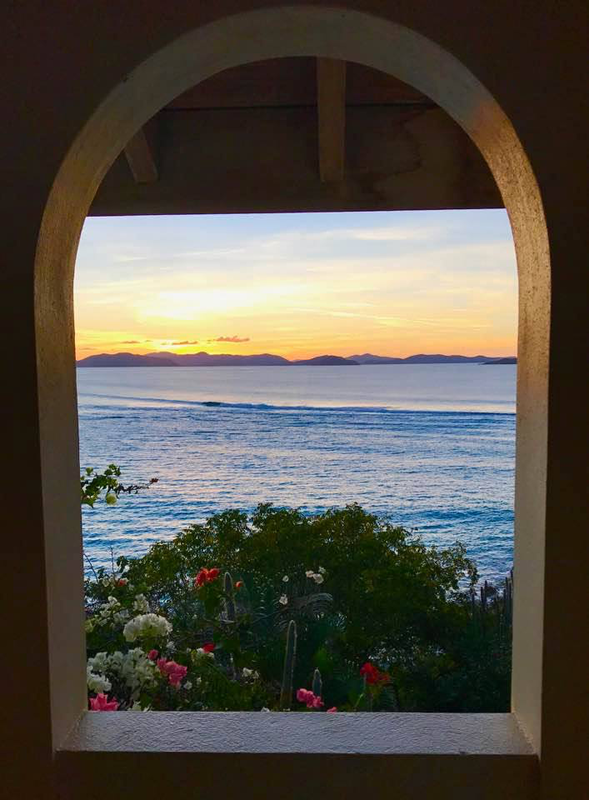 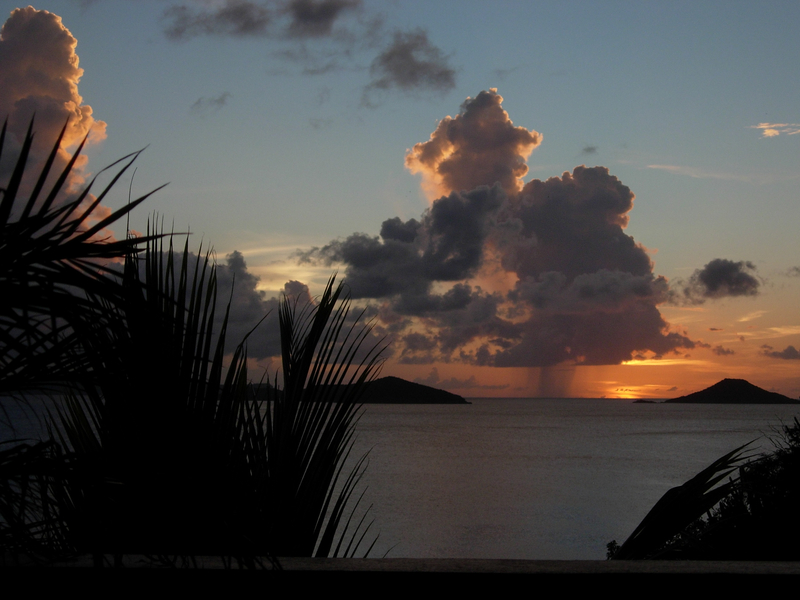 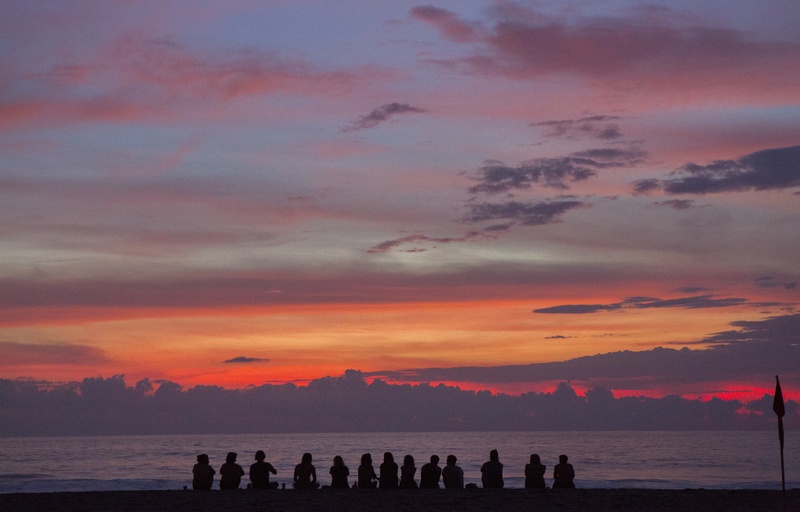 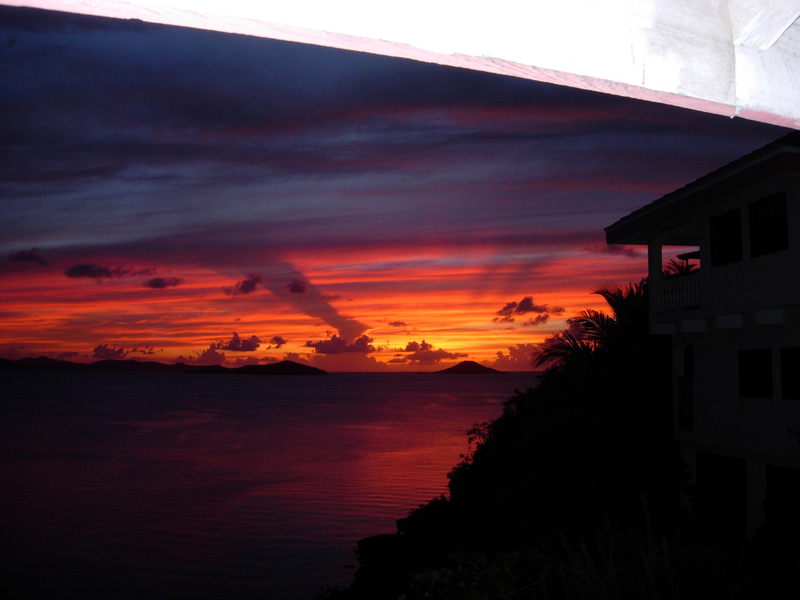 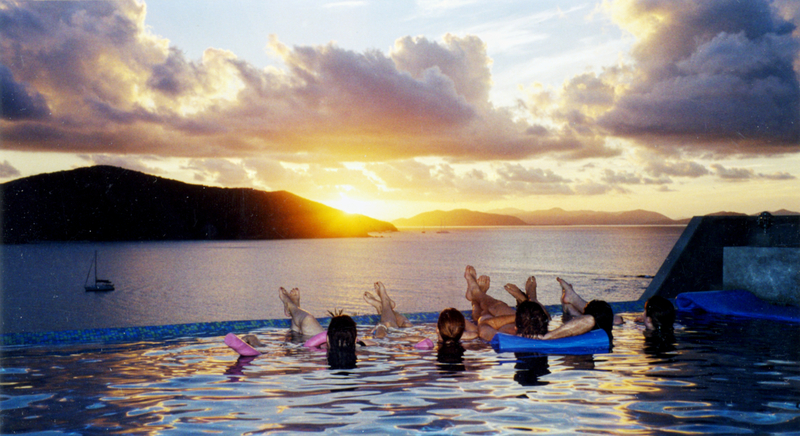 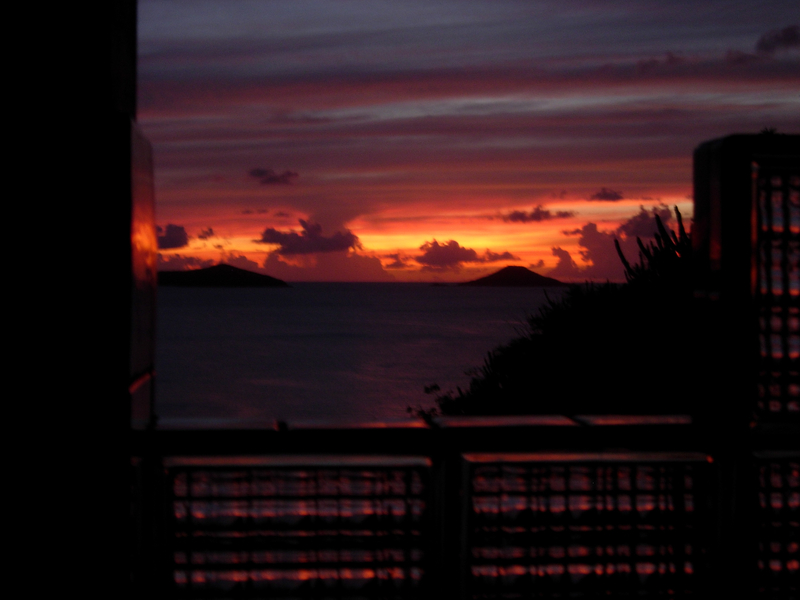 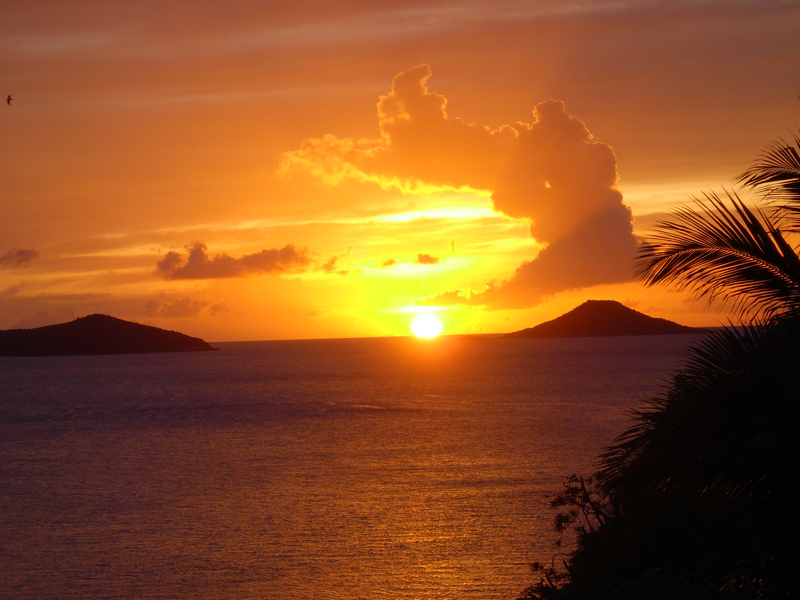 Virgin Gorda sunsets are famous for their variety and wonderful colors. 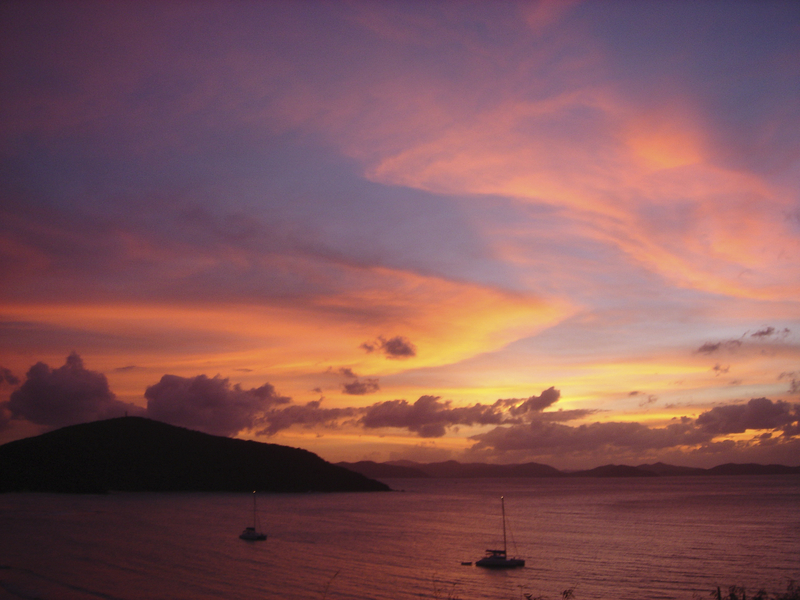 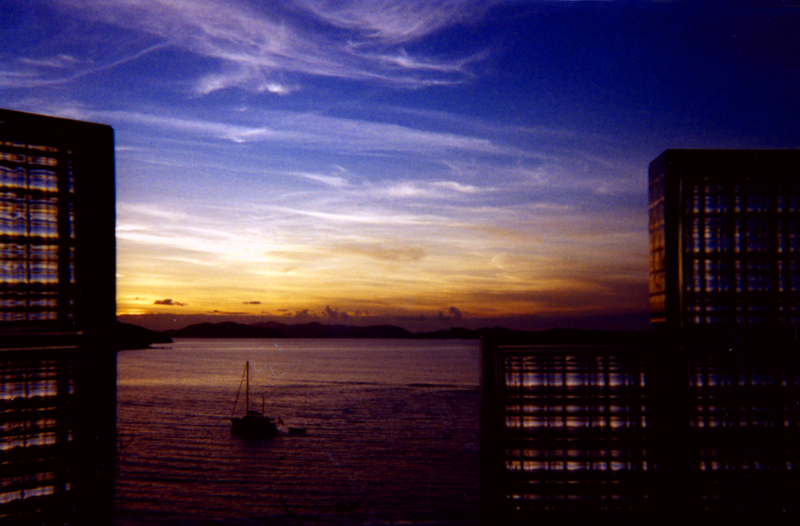 Pink, purple, and orange makes this Virgin Gorda sunset over moored yachts spectacular. 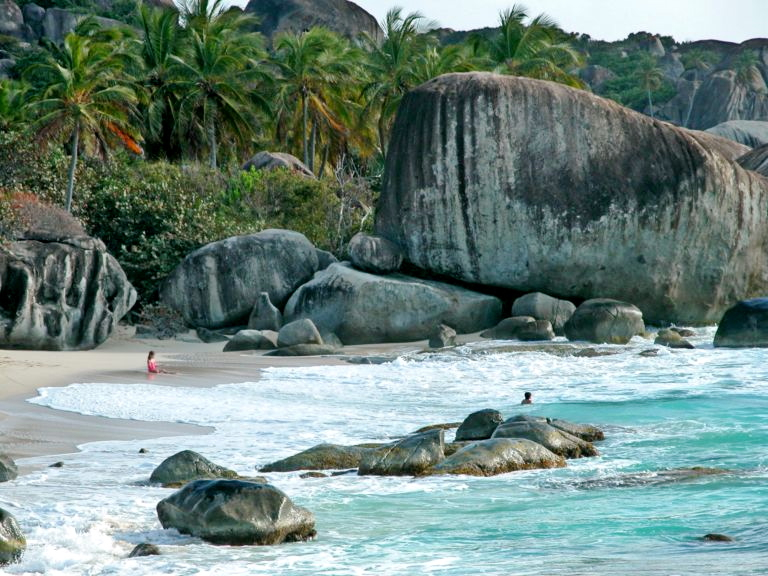 Little Trunk Beach shows off its massive boulders, beautiful sea and sand to make it a favorite of those lucky enough to find it. 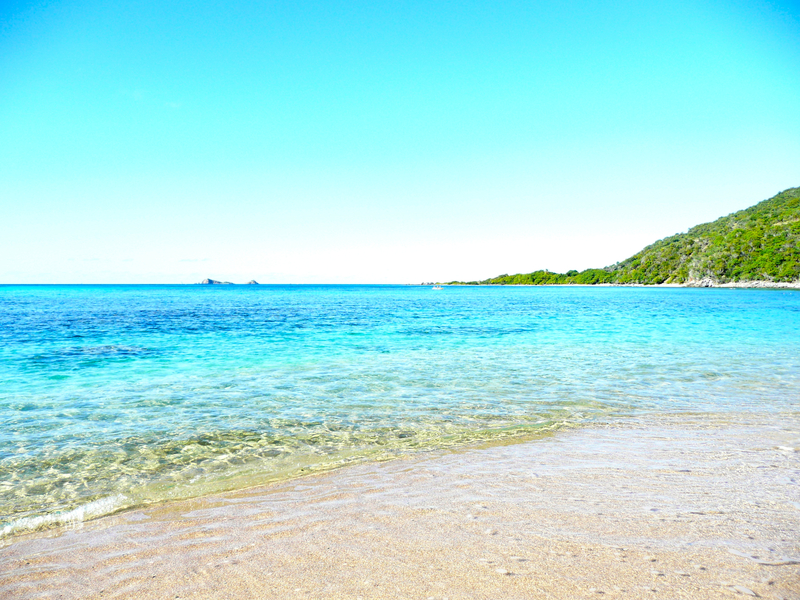 Just a 5 minute walk from A Dream Come True is a pristine beach with excellent snorkeling at mango Bay Resort. 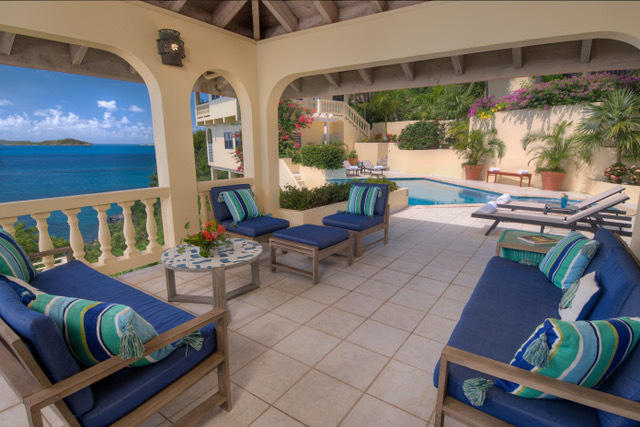 The turquoise waters at Mango Bay Resort are just 5 minutes from A Dream Come True Villa. 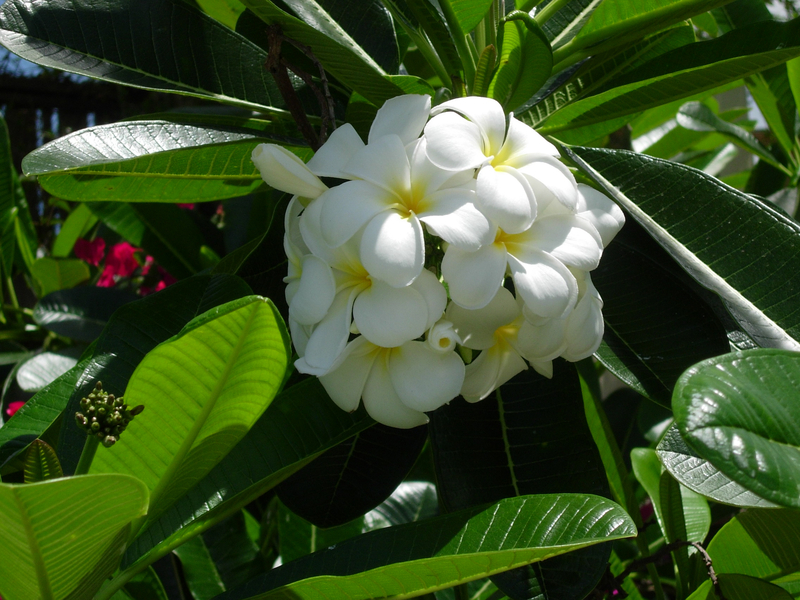 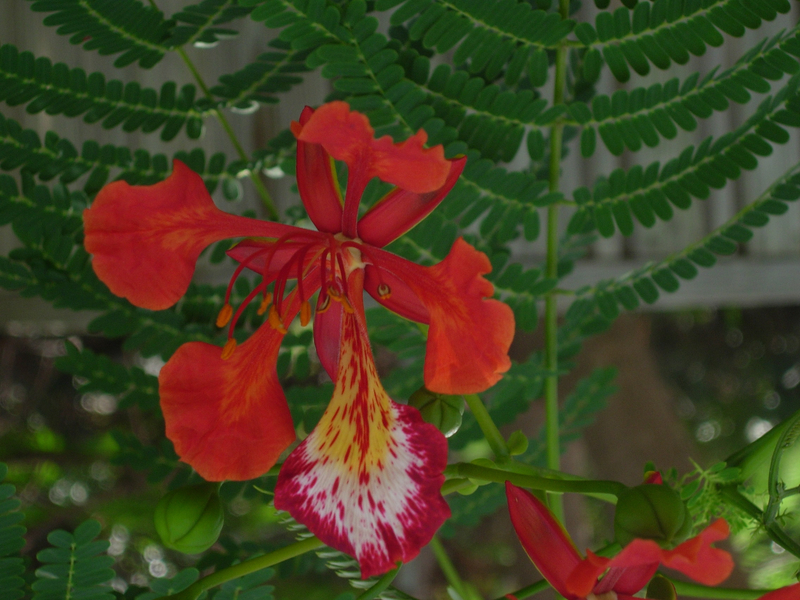 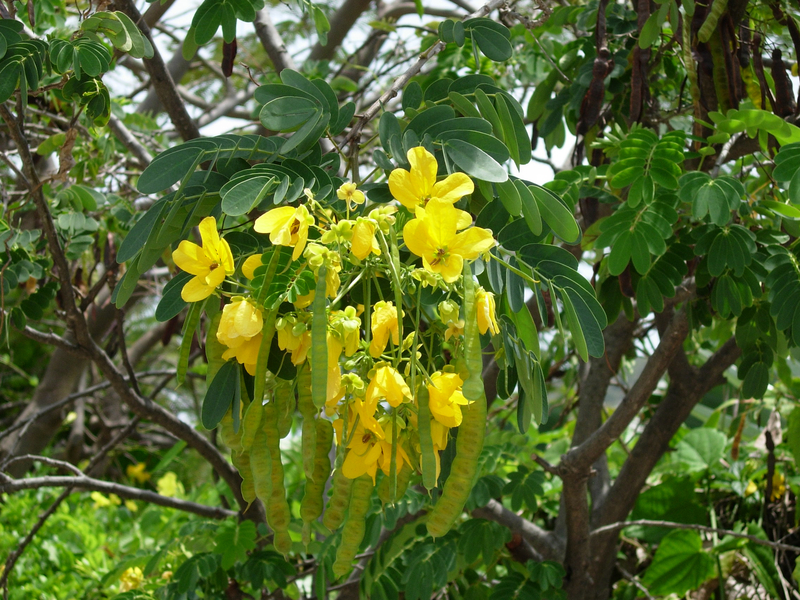 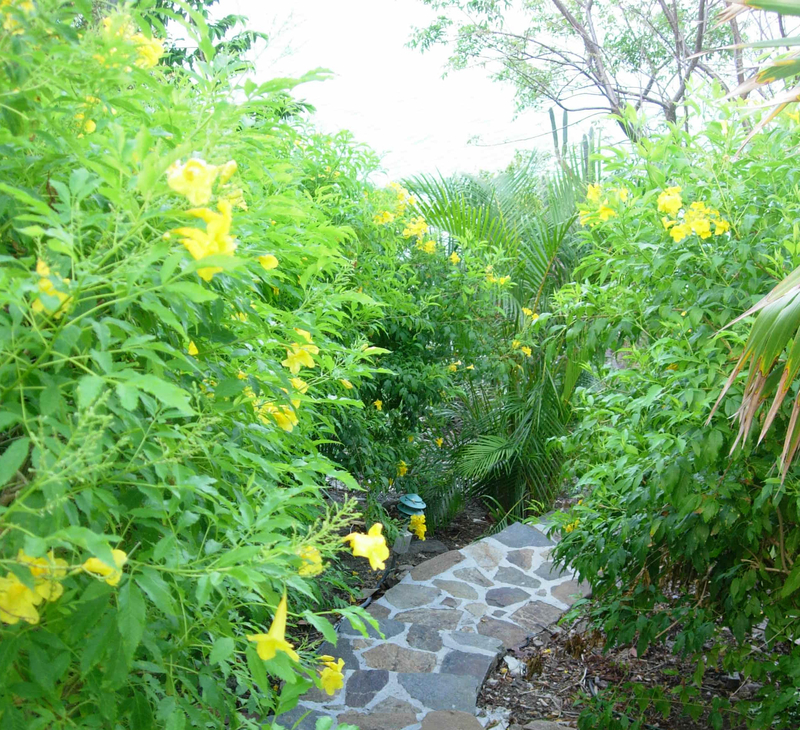 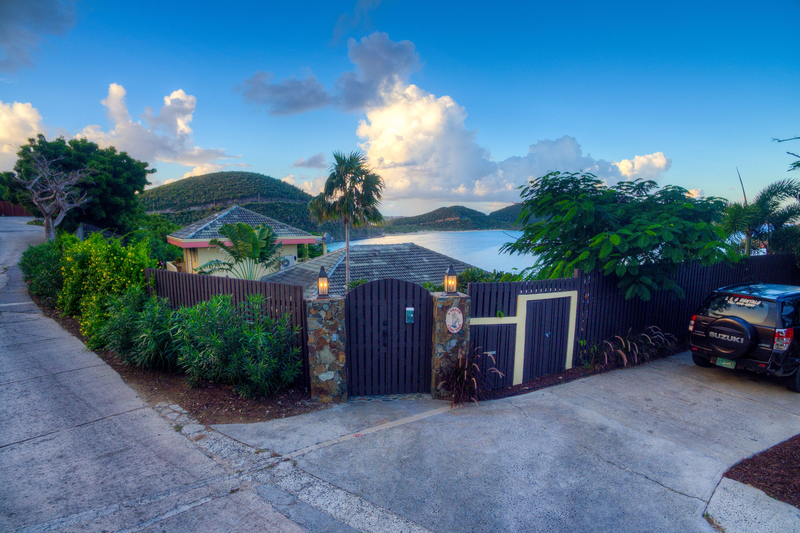 Open the gate at A Dream Come True and you are less than 5 minutes from Mango Bay Resort's pristine beach. 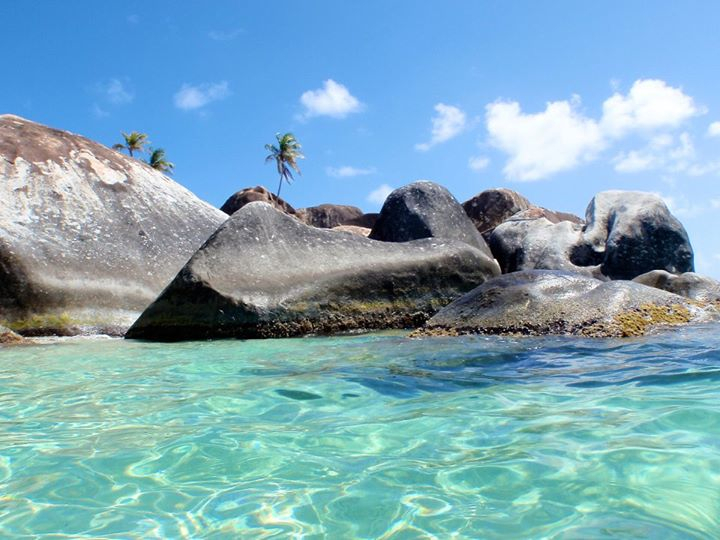 Is snorkeling amongst boulders on your bucket list? 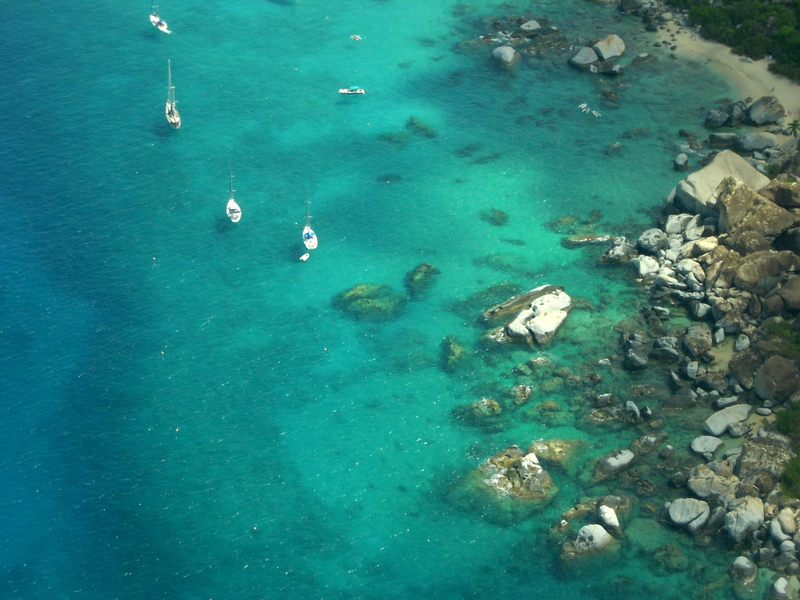 If not, add it! 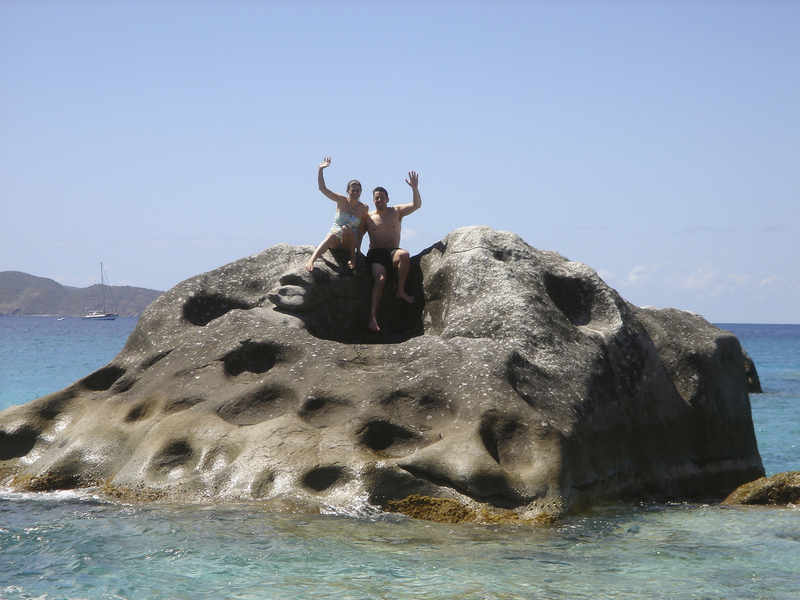 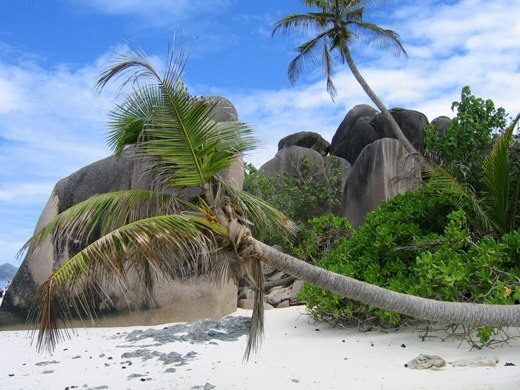 Boulders in the sea at Virgin Gorda National Park Beaches. 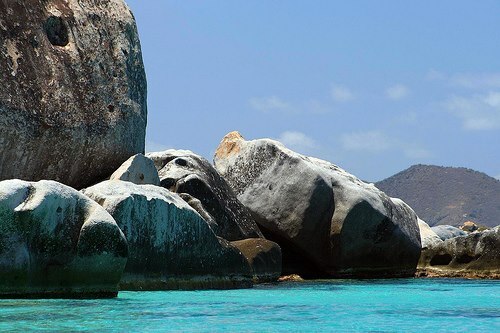 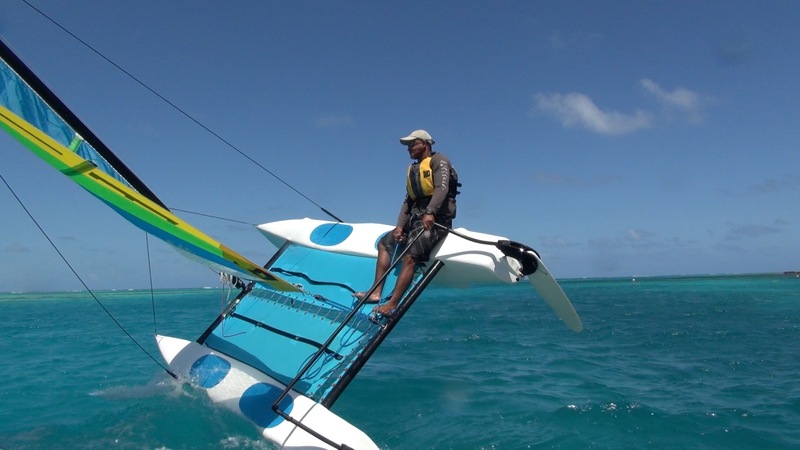 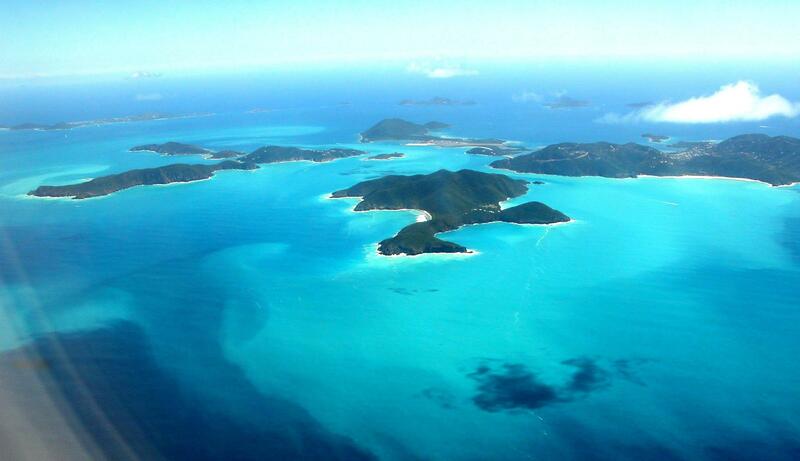 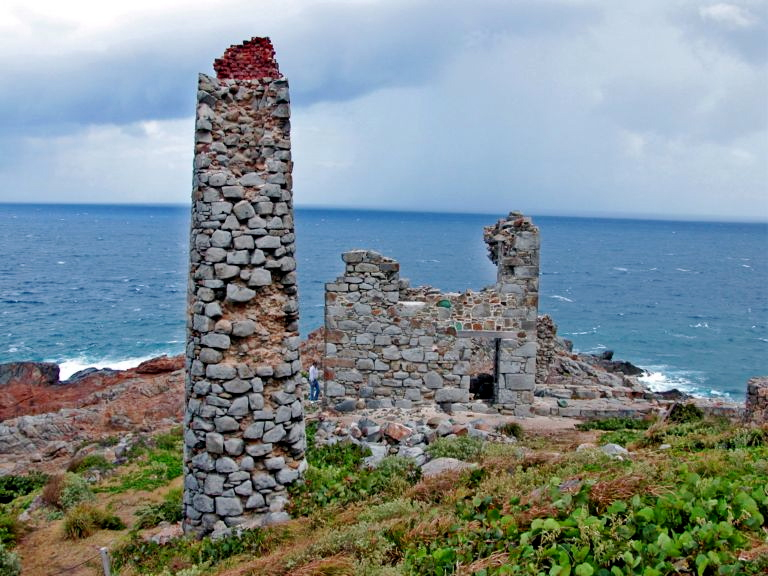 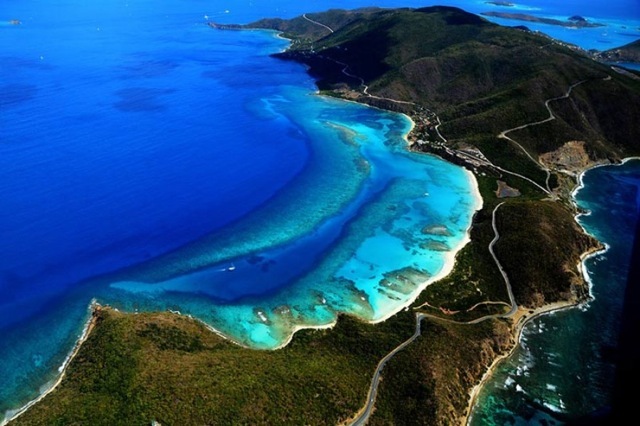 Add flying into the airport at Virgin Gorda to your "TO DO" List! The views are breathtaking! 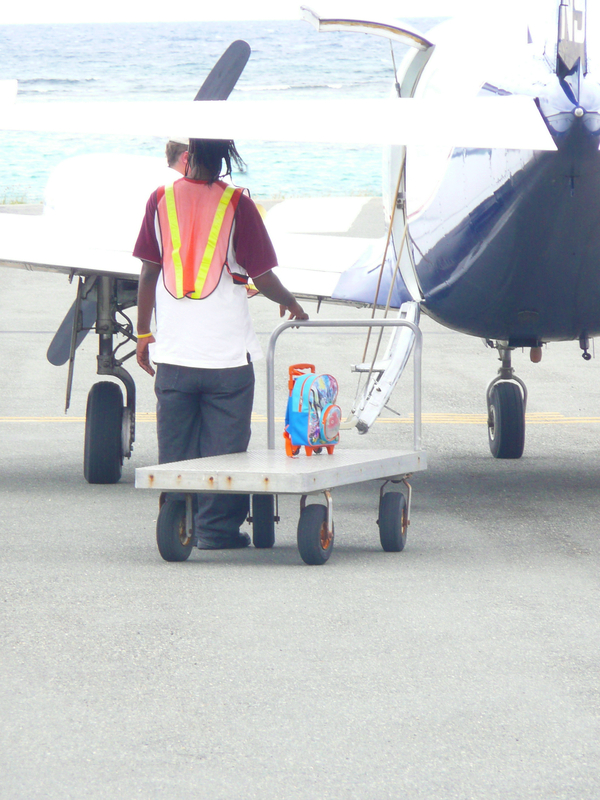 A child's suitcase is being wheeled out on a luggage cart to a small aircraft at Virgin Gorda's airport. 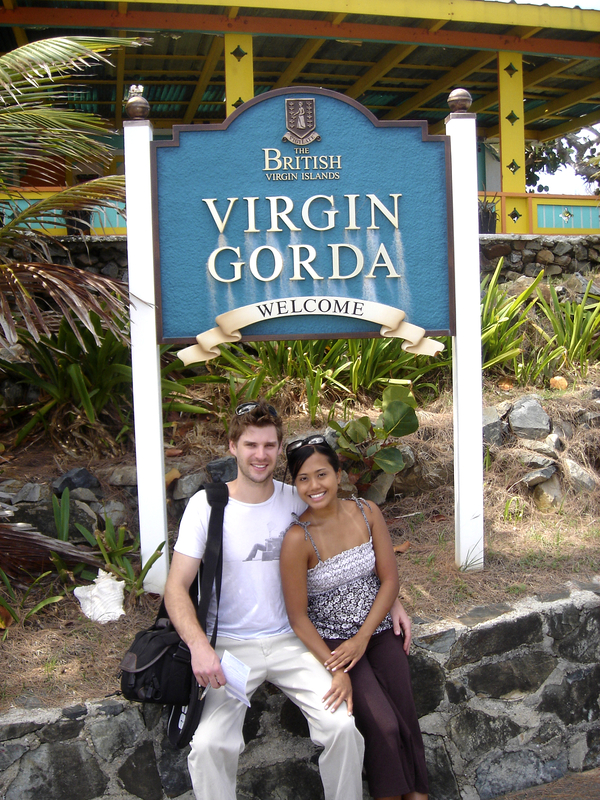 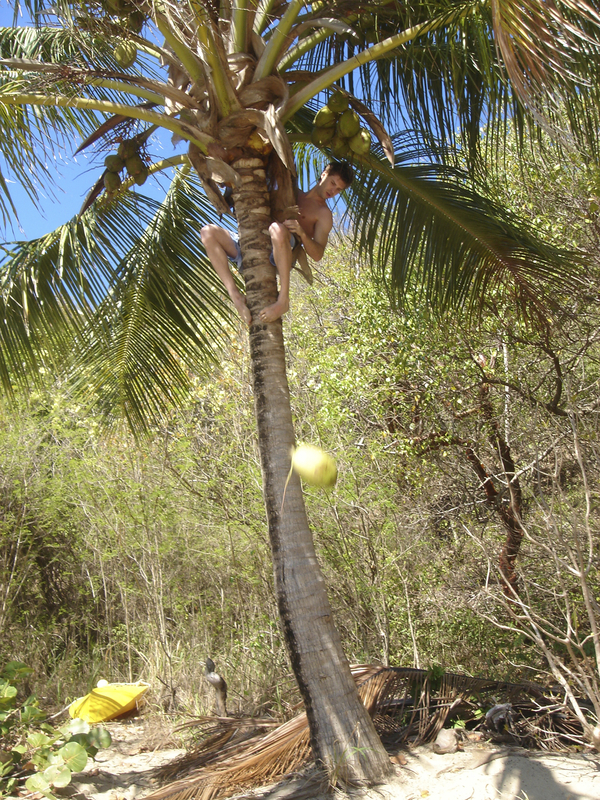 Ease on to Virgin Gorda time. 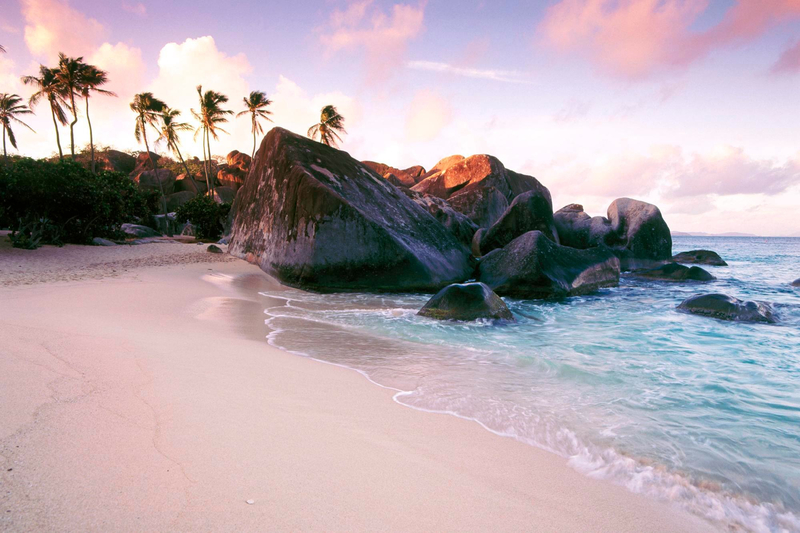 It won't take you long. 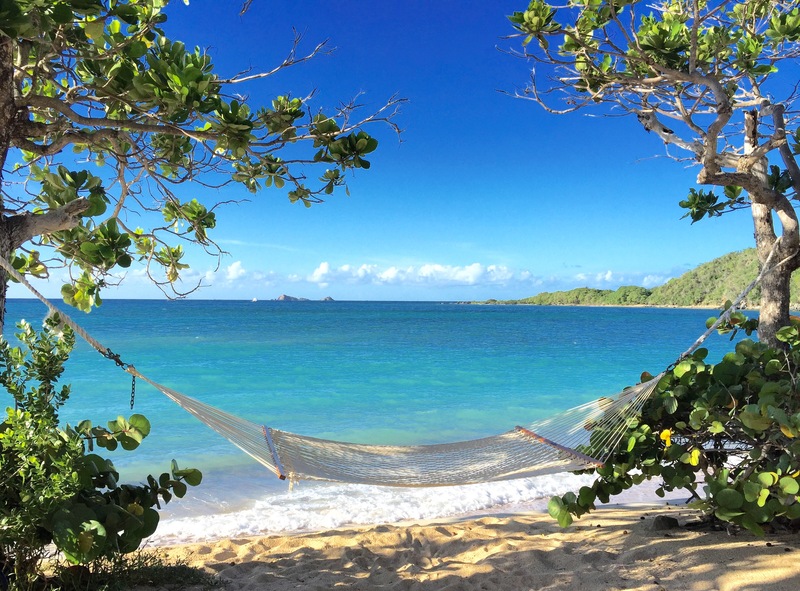 A hammock is between two palm trees at the edge of the beach. 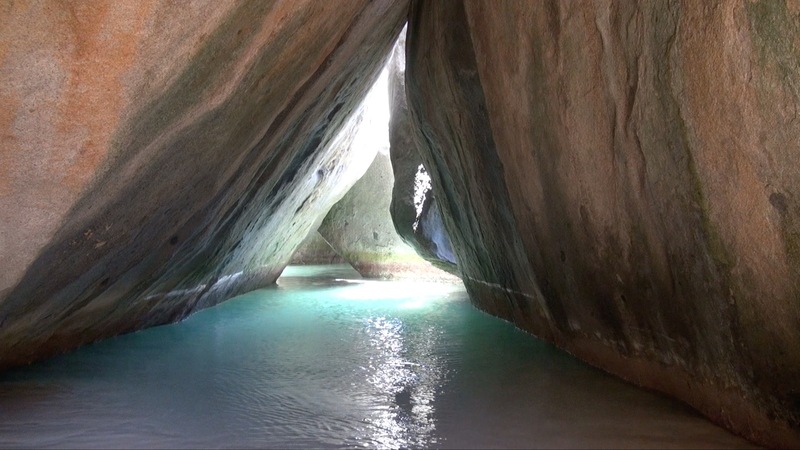 The grottoes at The Baths are iconic and beloved by visitors from around the world. 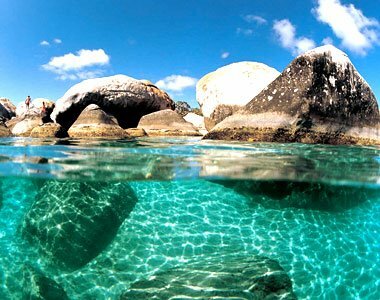 At The Baths National Park, the huge boulders form grottoes where light filters in and visitors enjoy splashing through translucent waters. 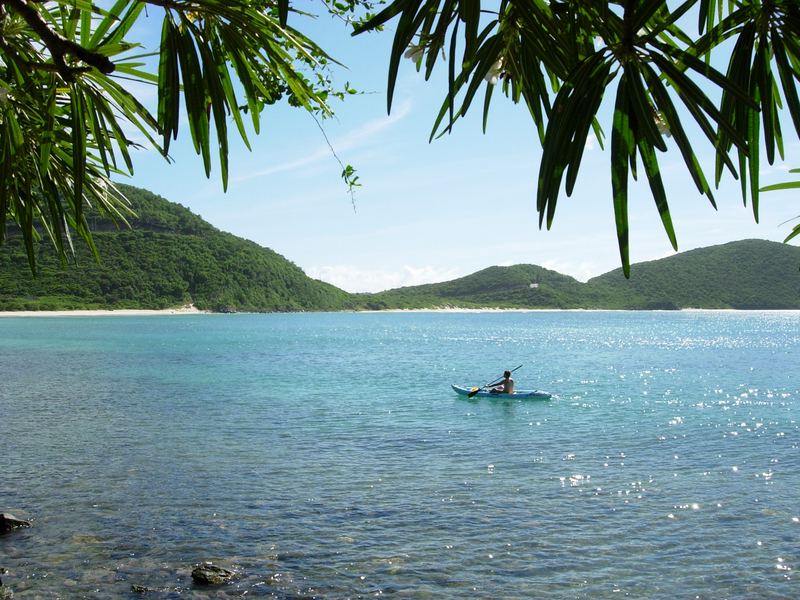 Surf, sand and sun - perfection at Pond Bay Beach! 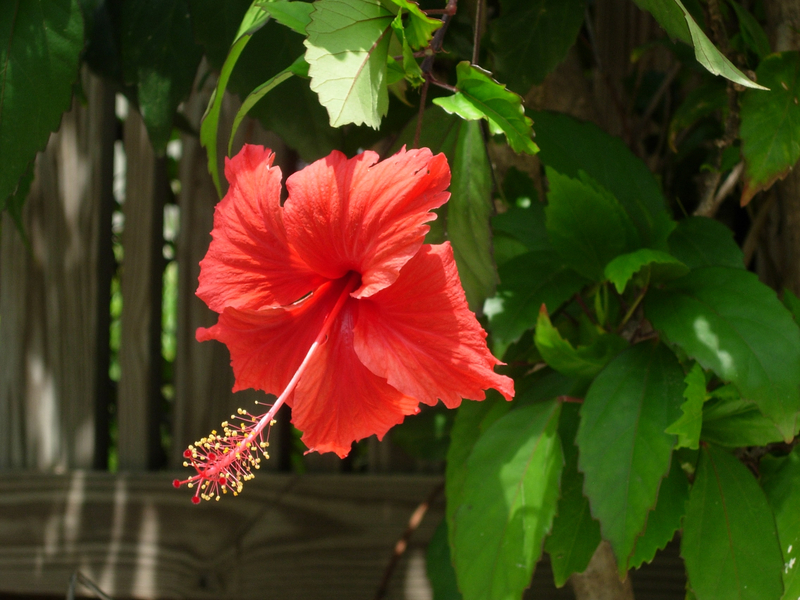 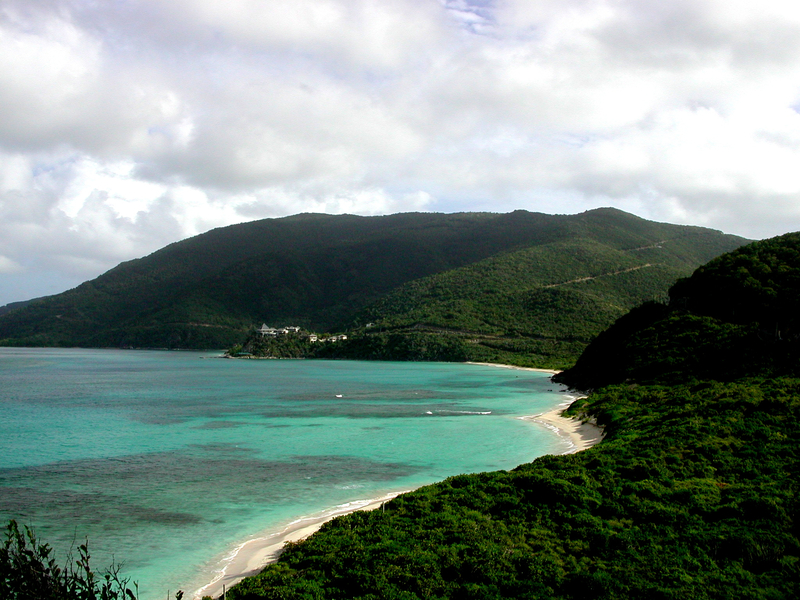 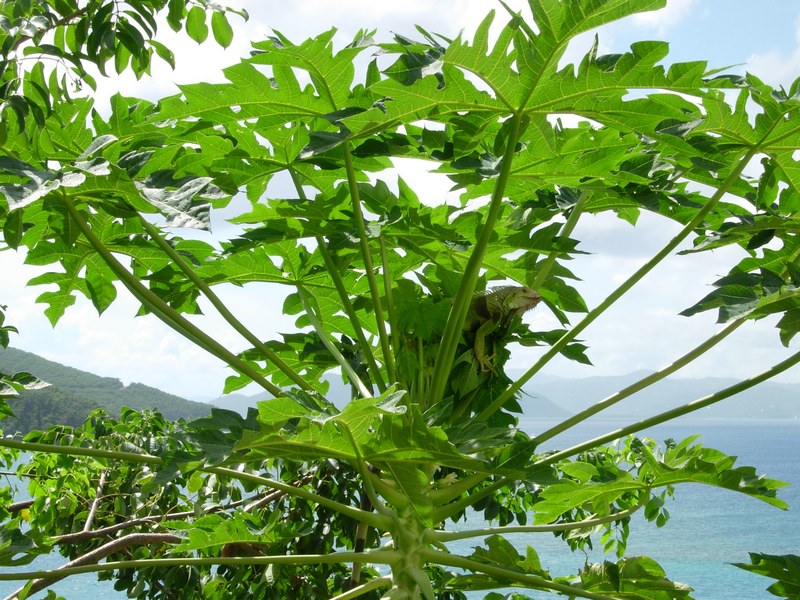 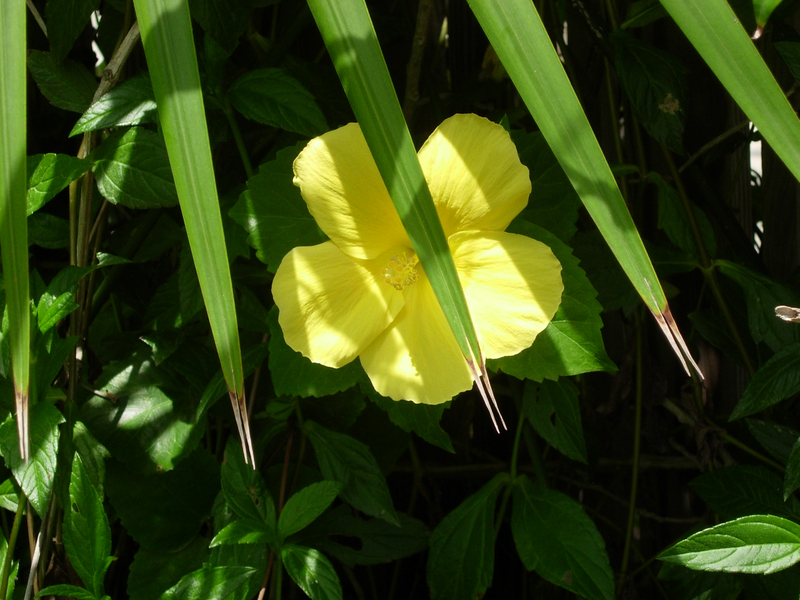 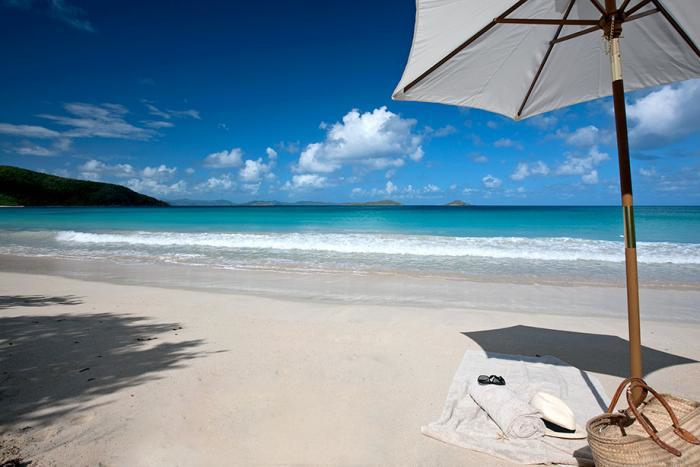 Beauty surrounds you at Little Trunk Bay Beach. 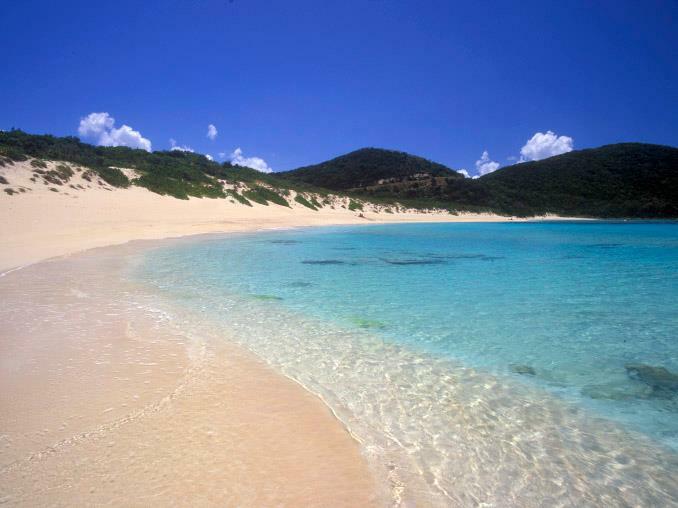 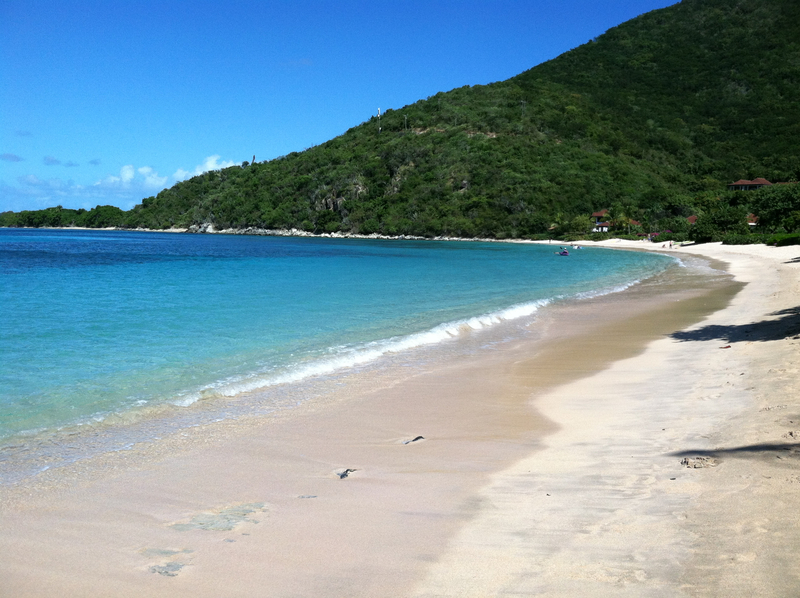 Little Trunk Bay Beach is located on Virgin Gorda, BVI and is pristine and perfect for lovers. 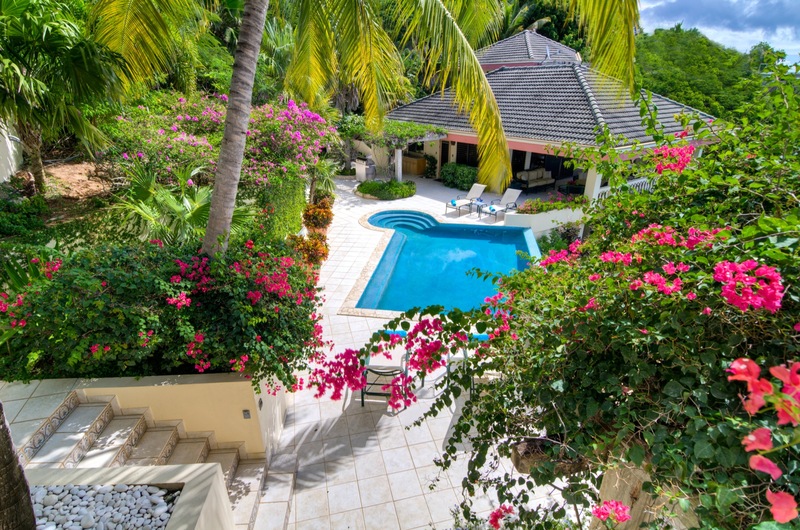 A Dream Come True Villa is offering a January Special of 25% off the Winter Rate at this LUXURY Villa with All 5-Star Reviews. 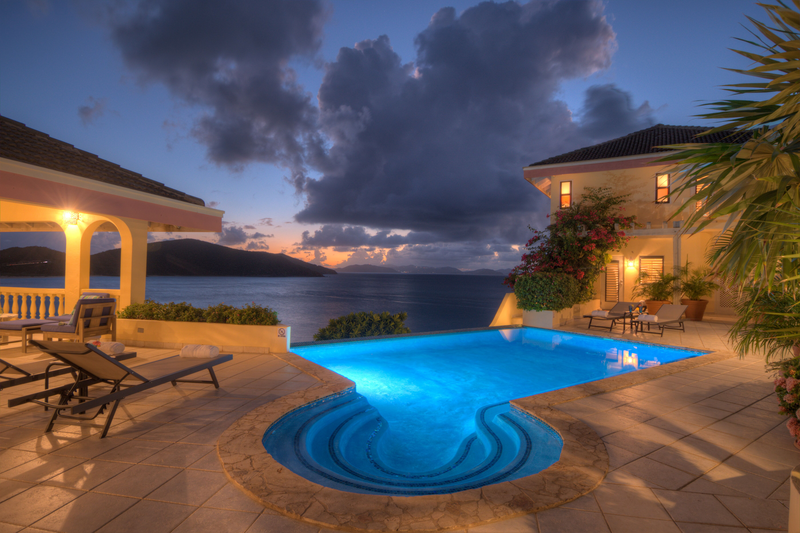 A Dream Come True is a luxurious oceanfront villa on Virgin Gorda, BVI. 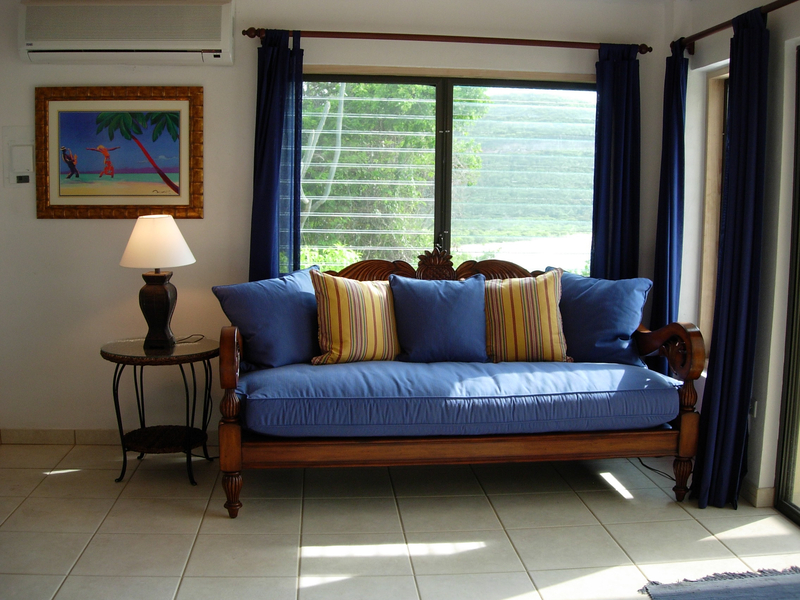 In January 2015, there is a 25% Discount of the Winter Rate! 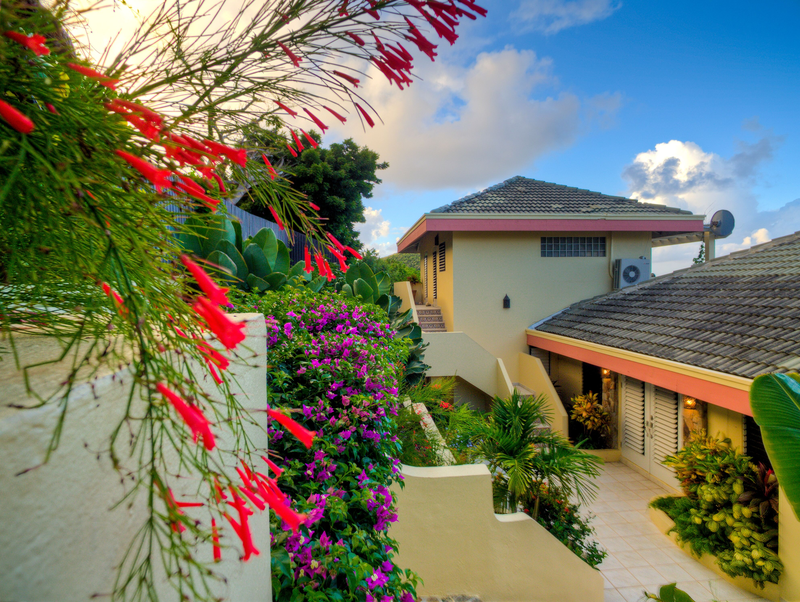 Availability is Limited! 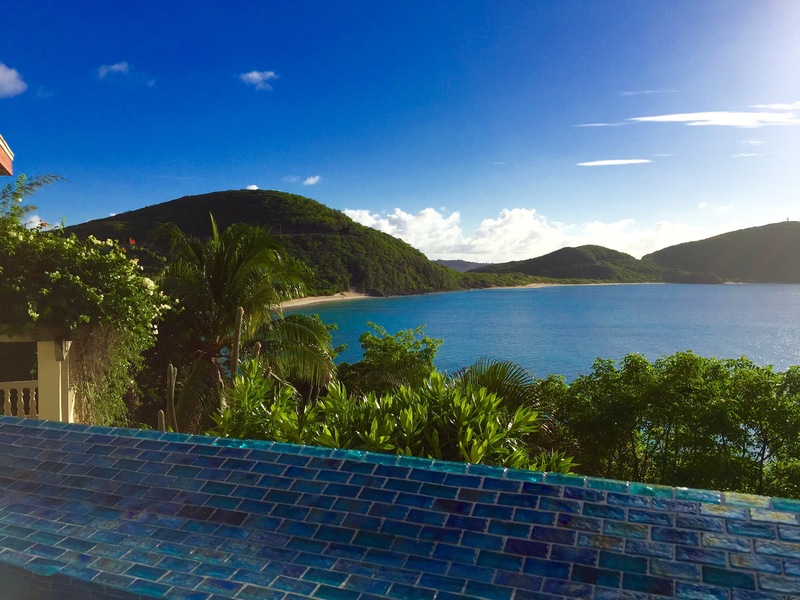 Swim, snorkel, or even kayak in just 2 minutes to Savannah & Pond Bay Beaches from A Dream Come True Villa's oceanfront location! 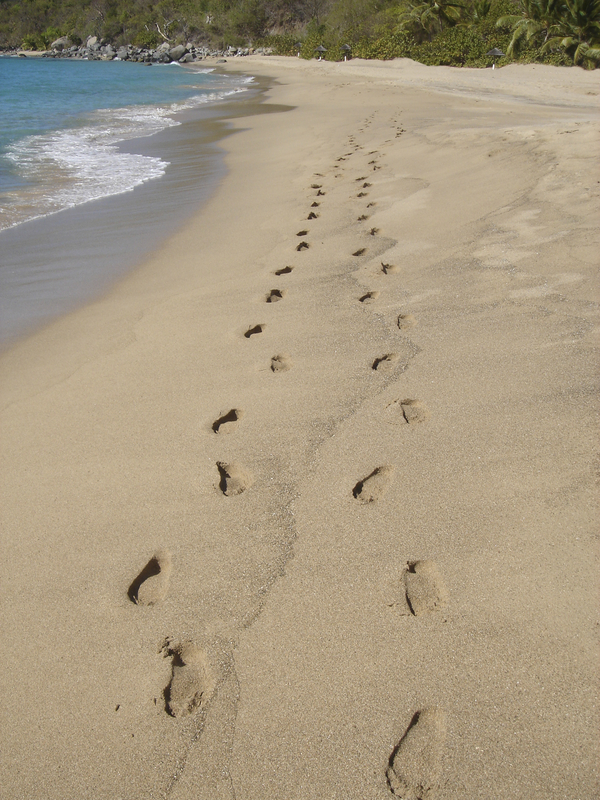 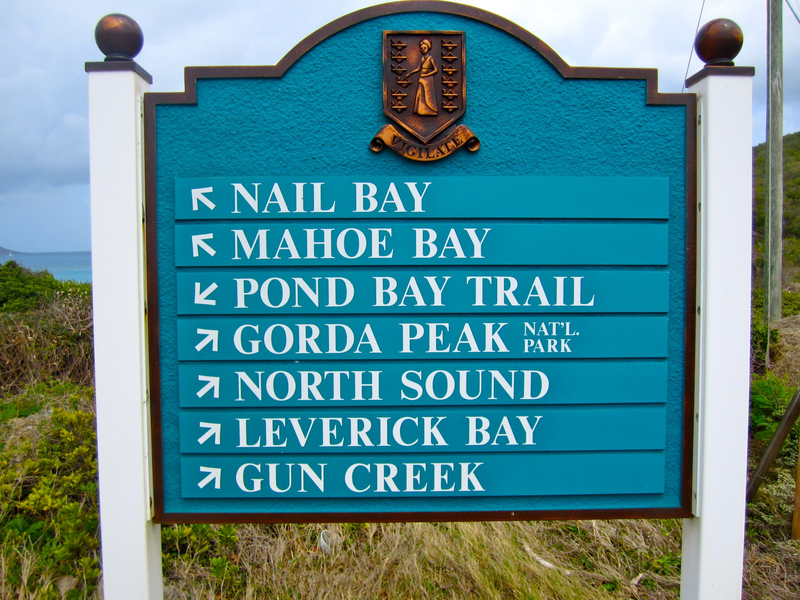 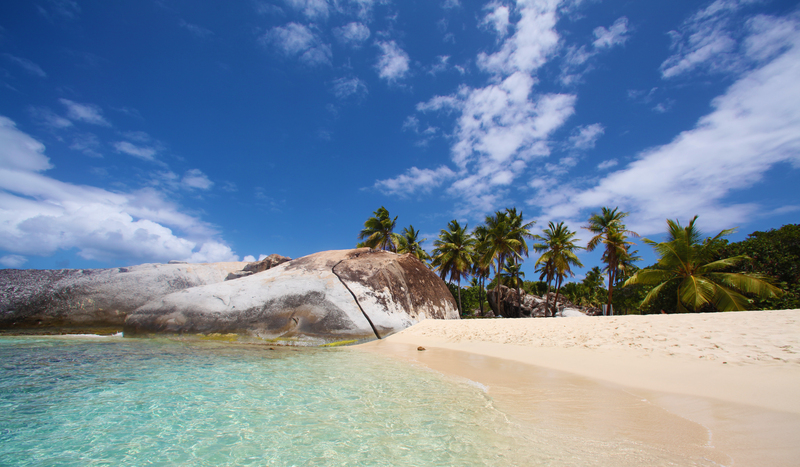 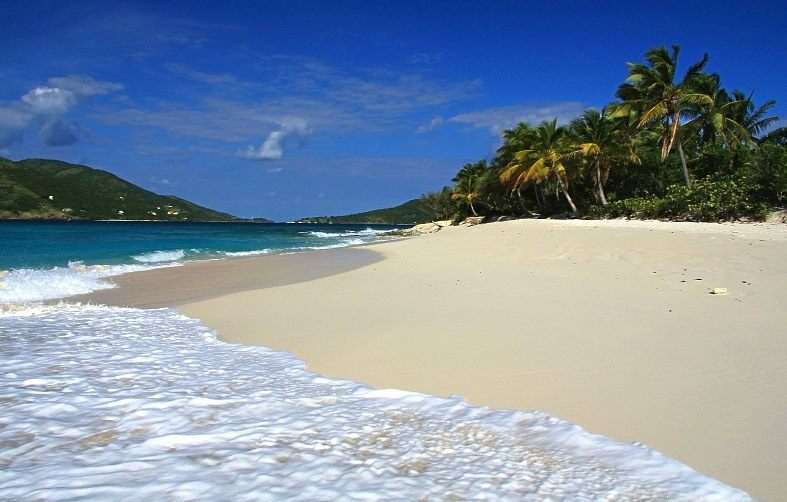 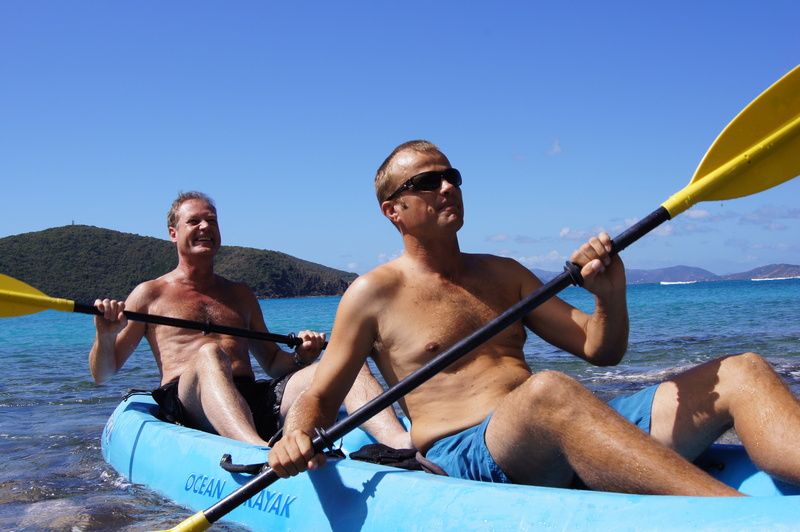 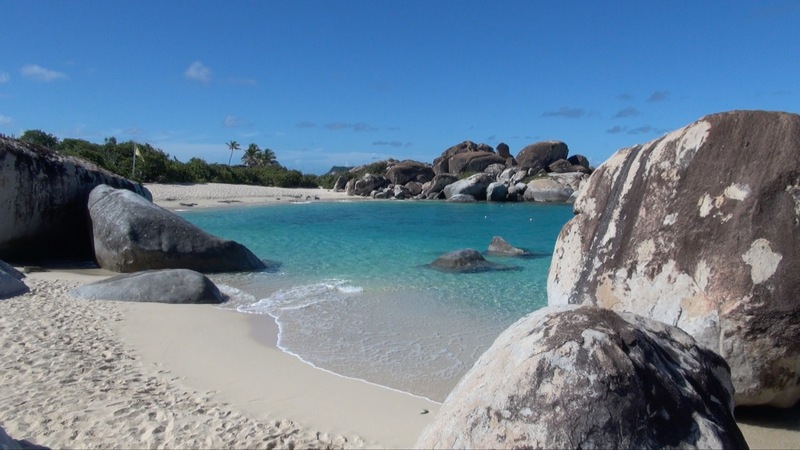 Savannah and Pond Bay Beaches are two of Virgin Gorda's most pristine beaches. 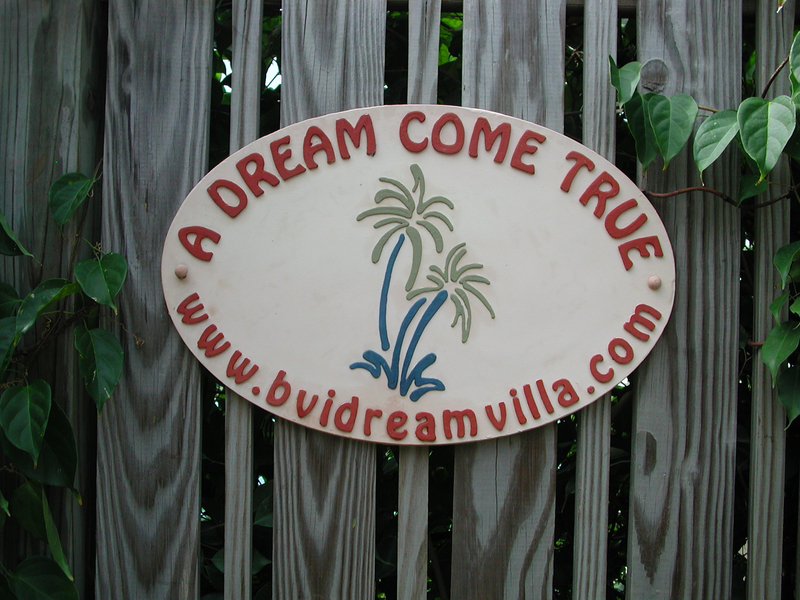 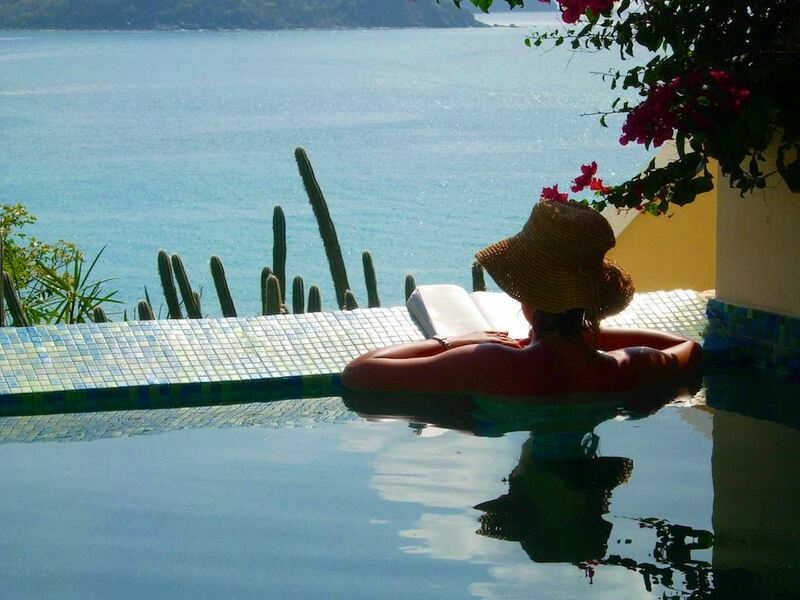 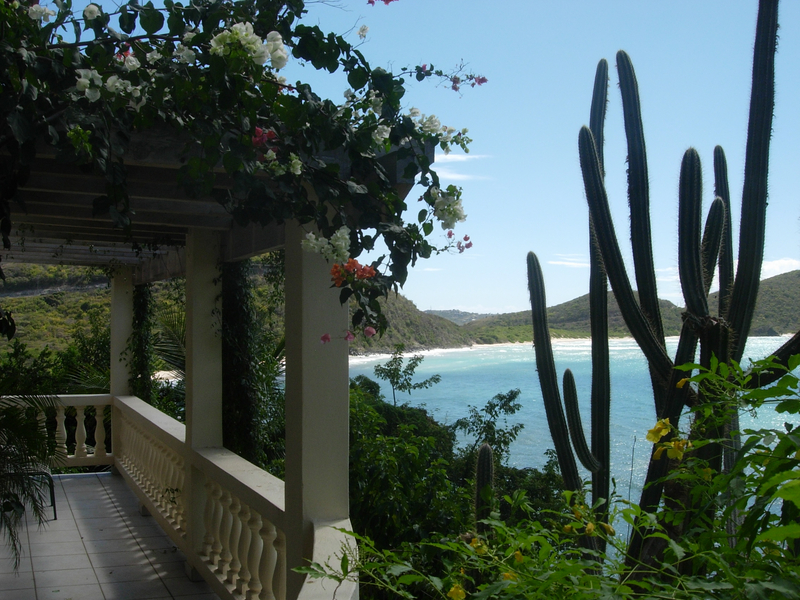 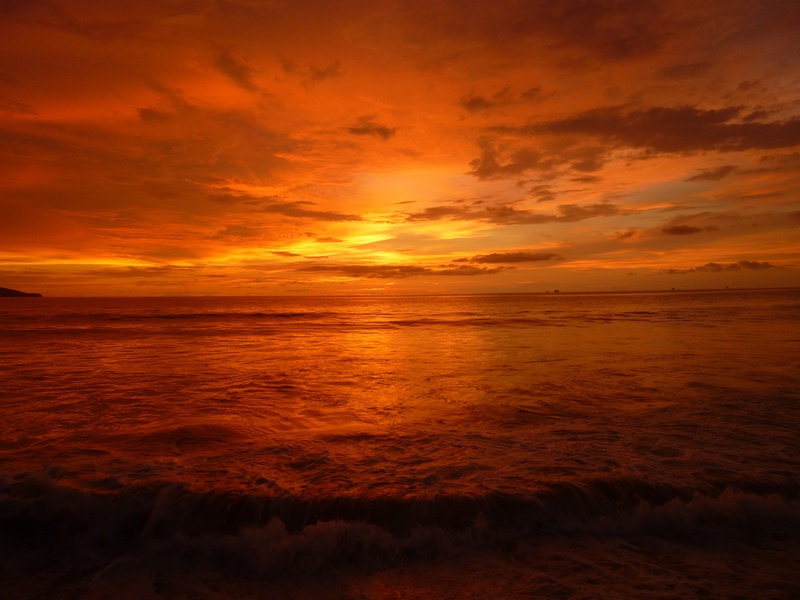 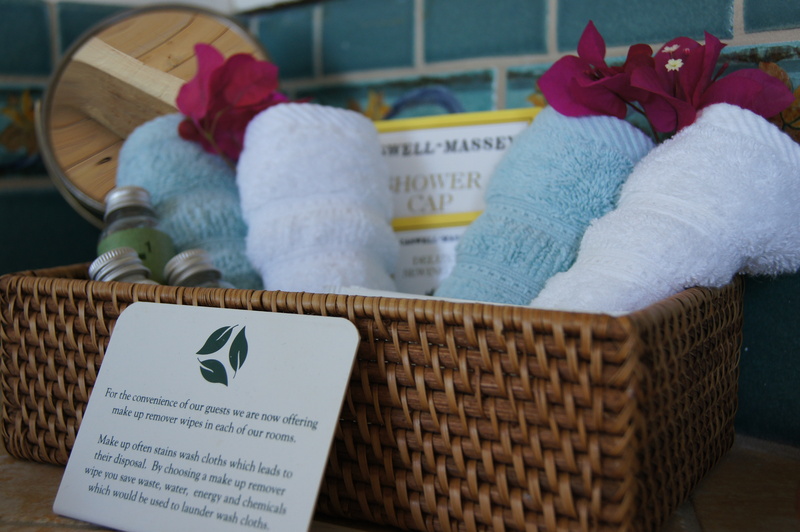 They can be easily reached from the oceanfront location of A Dream Come True Villa by kayak, swimming, or snorkeling. 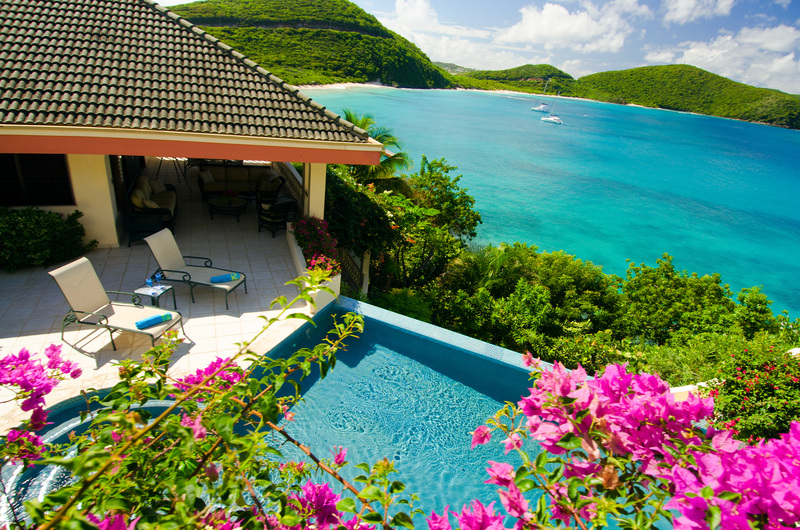 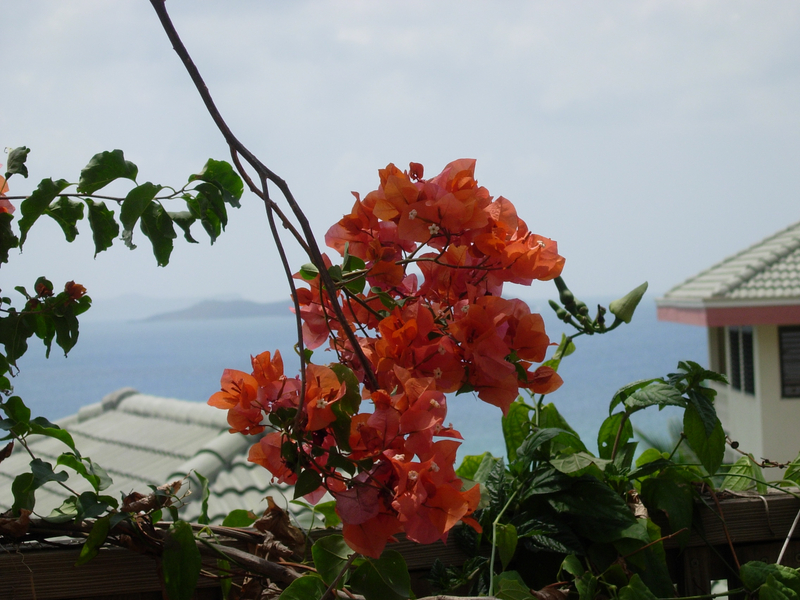 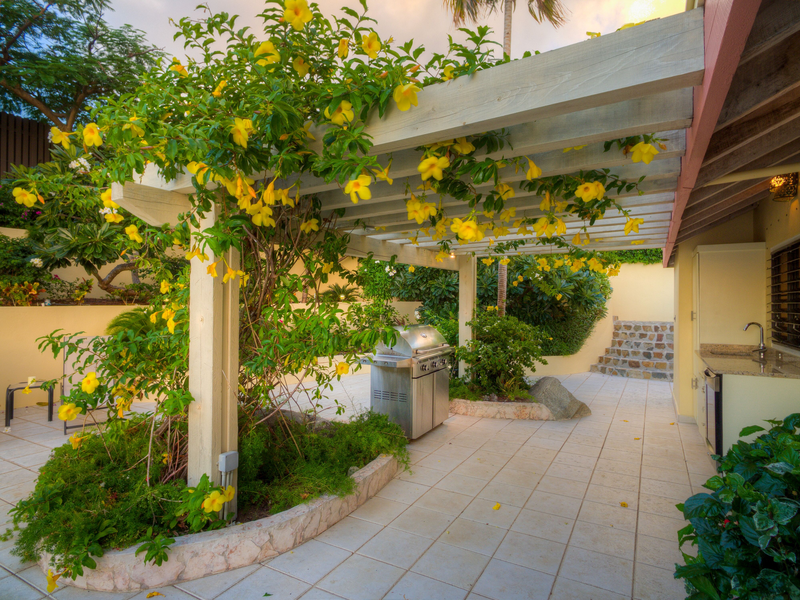 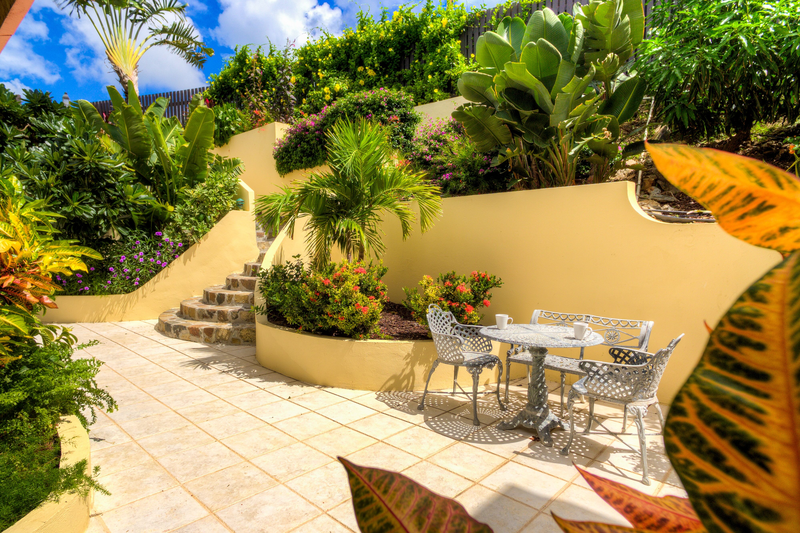 Vivid clusters of pink bougainvillea light up the landscape at A Dream Come True Villa on Virgin Gorda, BVI. 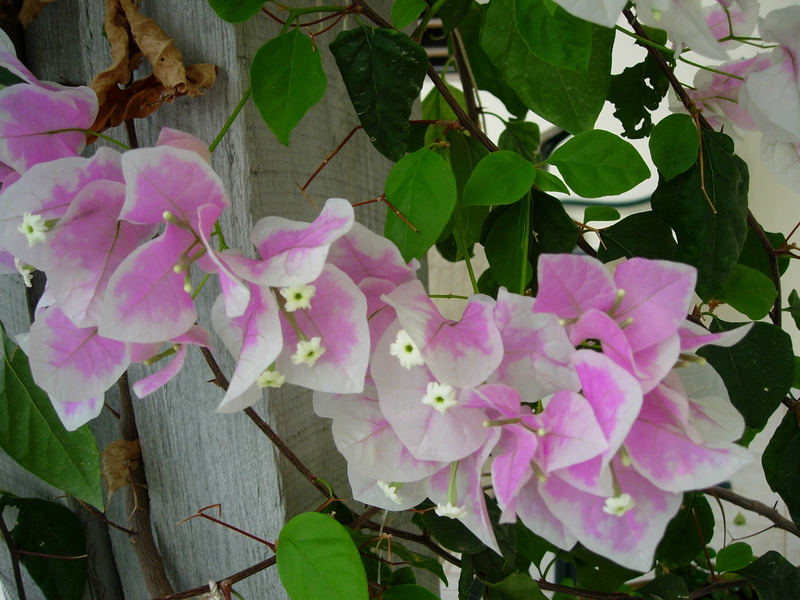 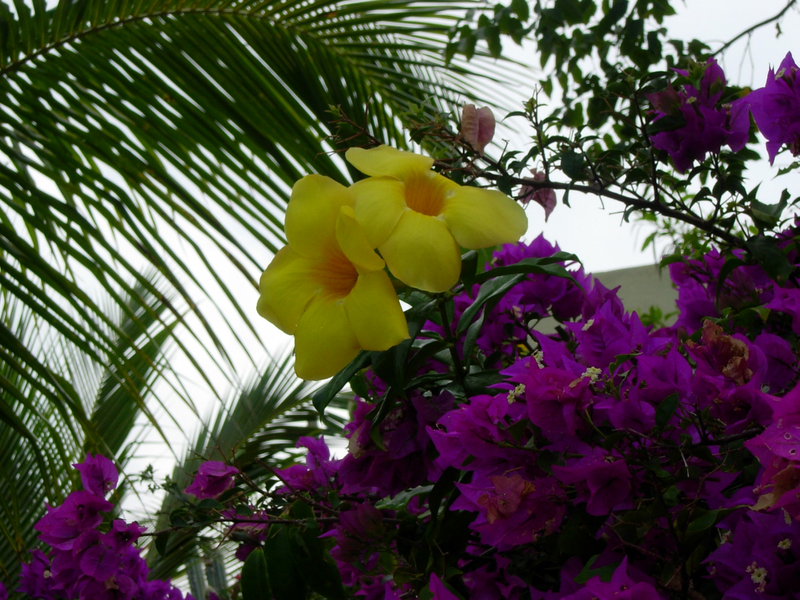 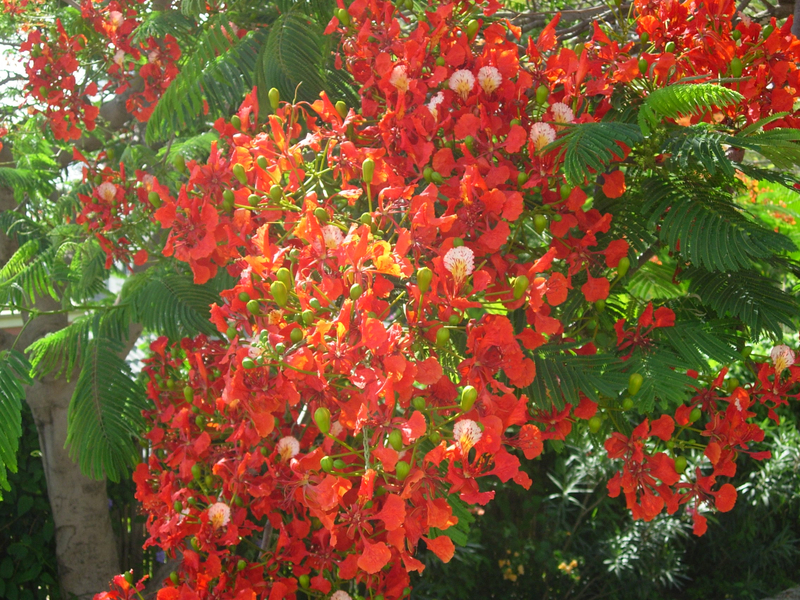 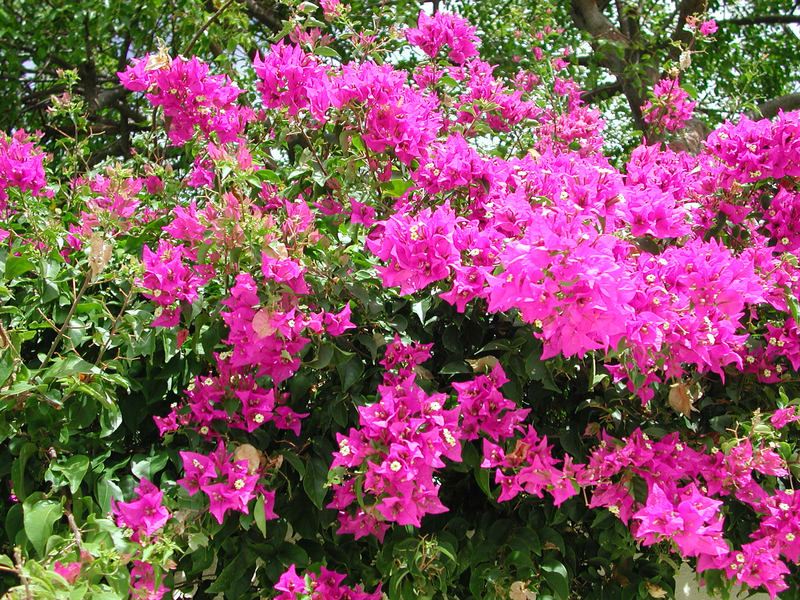 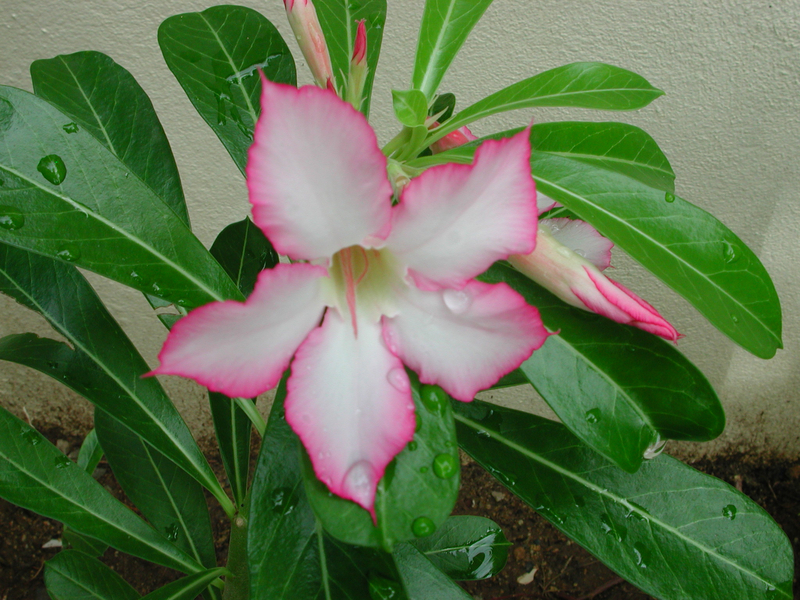 Bright pink bushes of bougainvillea flowers are a welcome sight for visitors in the midst of winter! 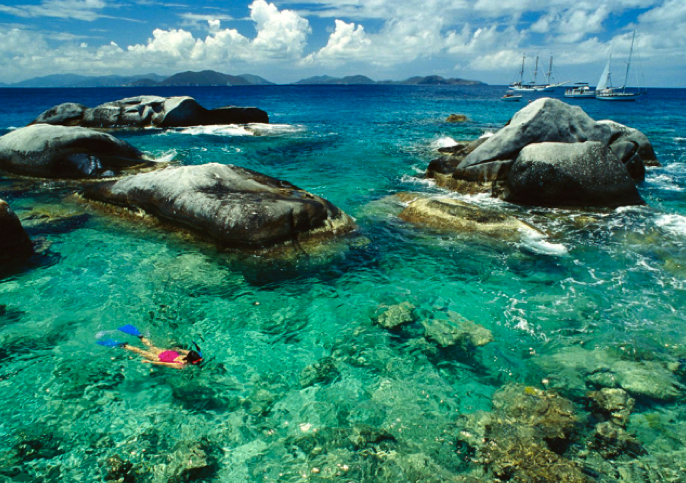 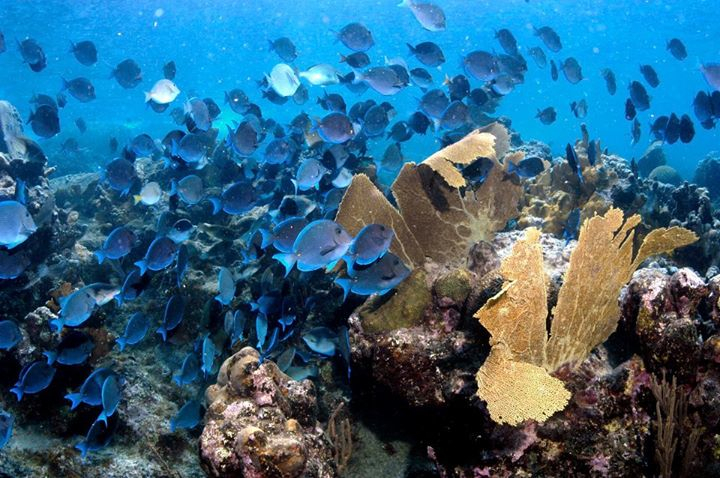 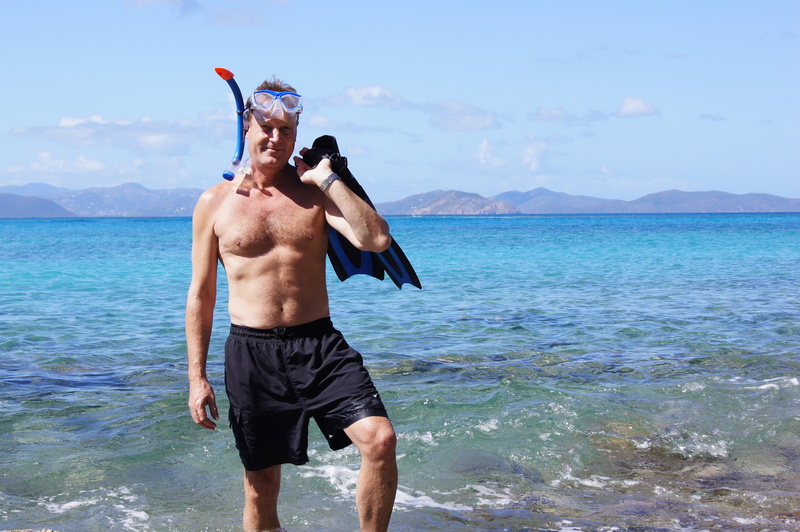 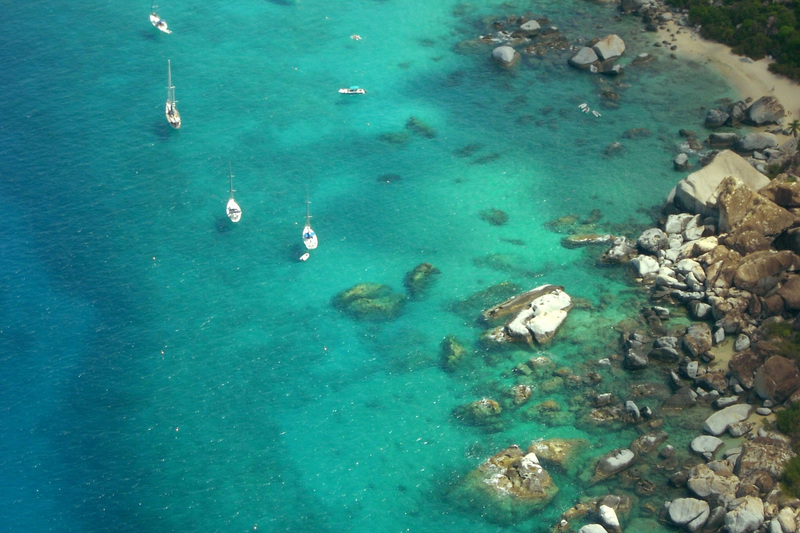 Is snorkeling amongst the boulders on your bucket list? 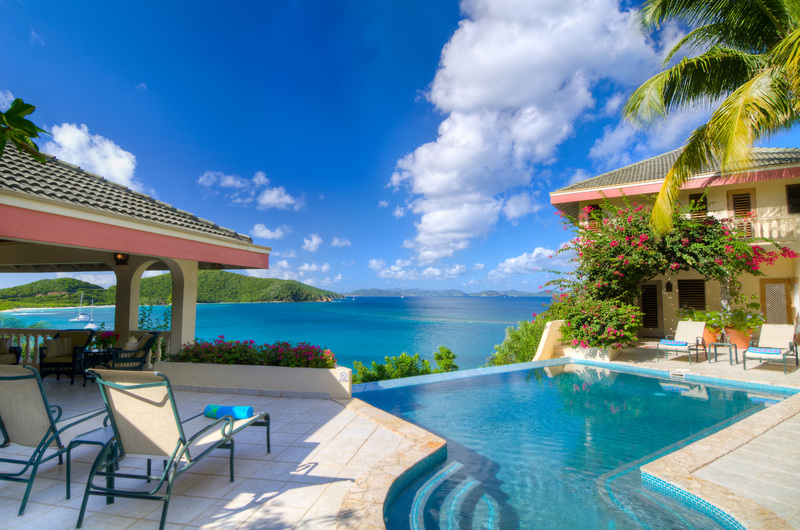 Add it if it's not! 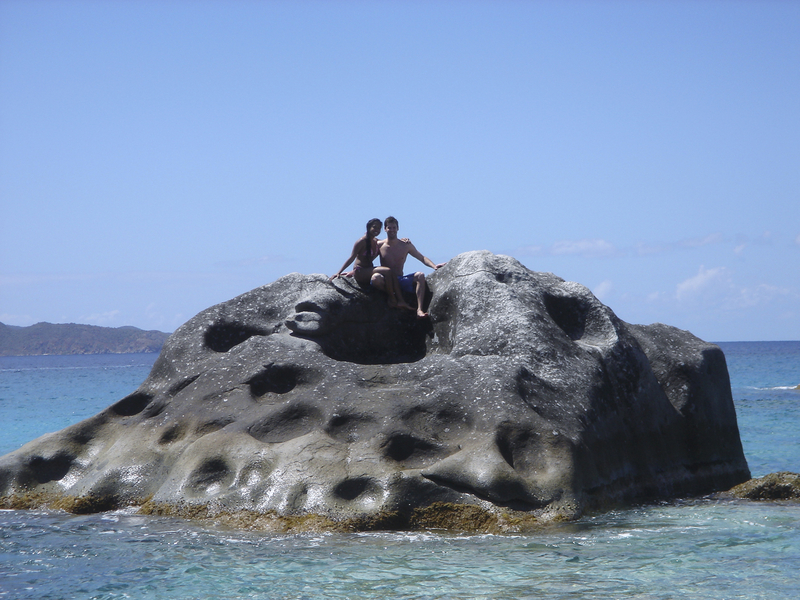 Boulders and turquoise sea with snorkeler. 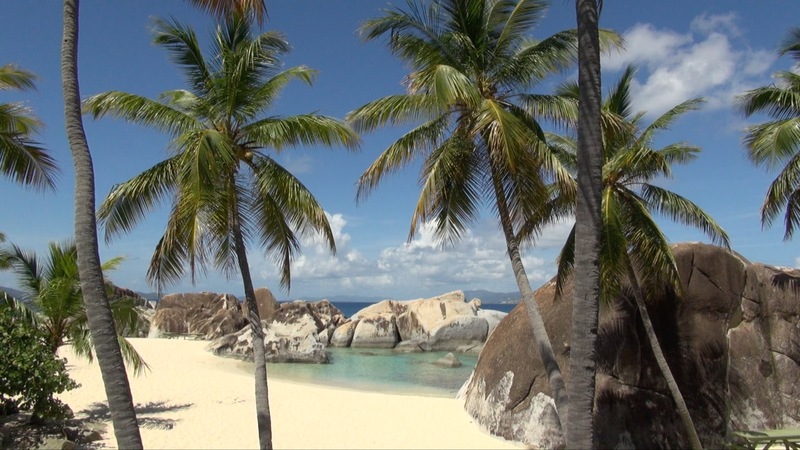 The beauty of Spring Bay surrounds the visitor with turquoise waters, palm trees, and magnificent boulders in an unspoiled setting. 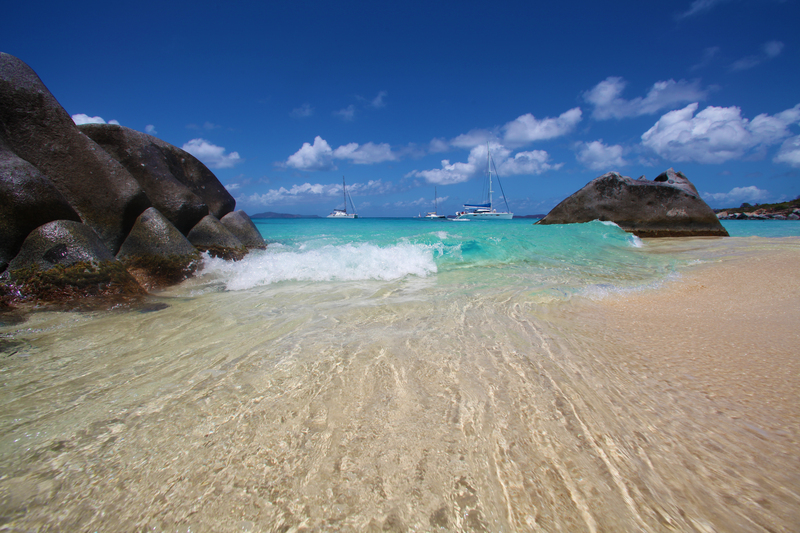 Turquoise sea, waves boulders, and sand at Spring Bay National Park on Virgin Gorda, BVI. 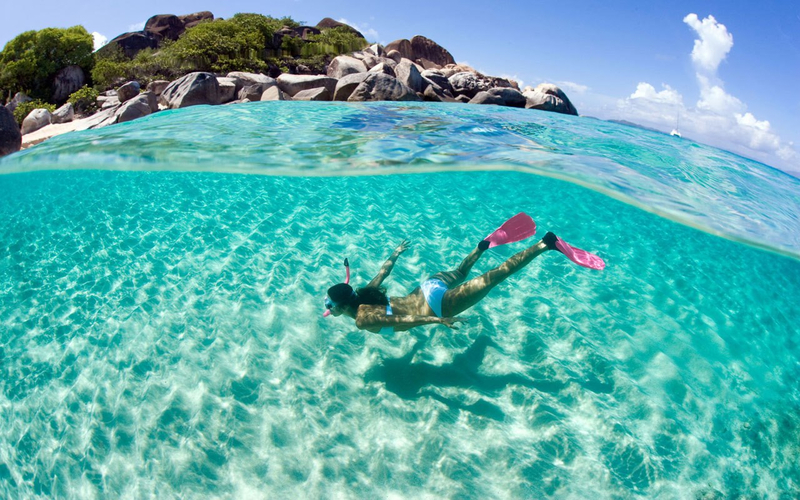 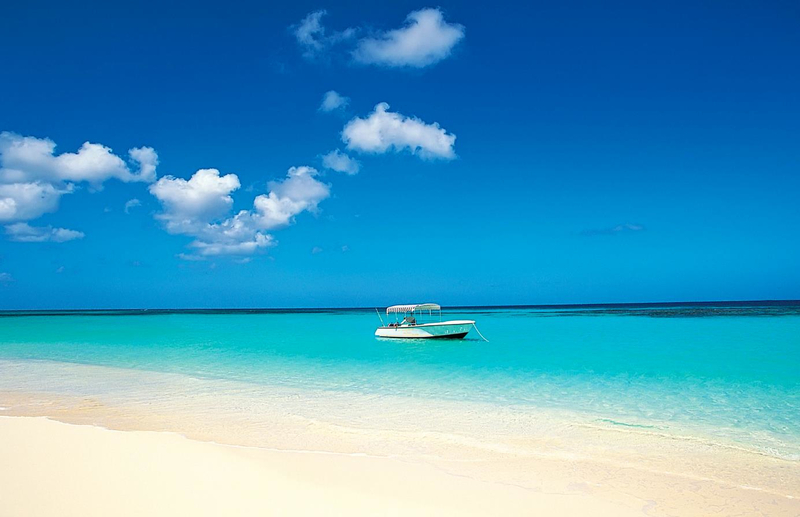 A bit of heaven on earth; stop to snorkel where ever you wish! 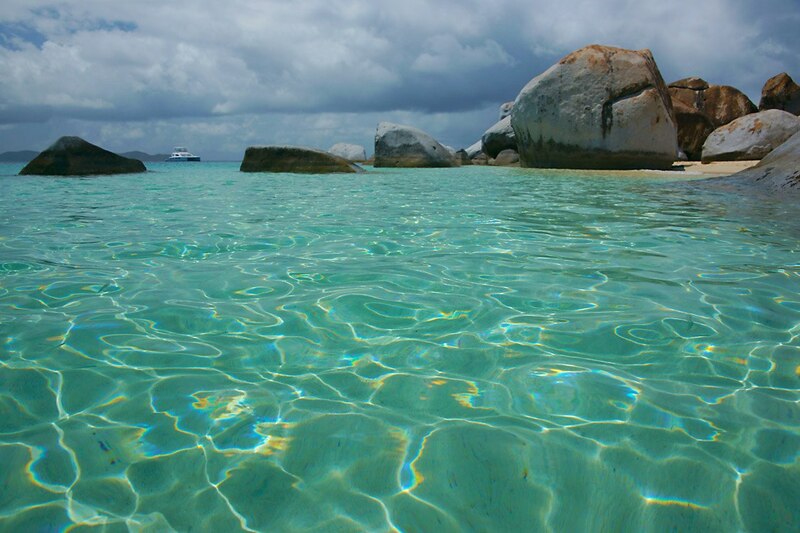 A small motor boat and a beach floating on turquoise water in Virgin Gorda, British Virgin Gorda. 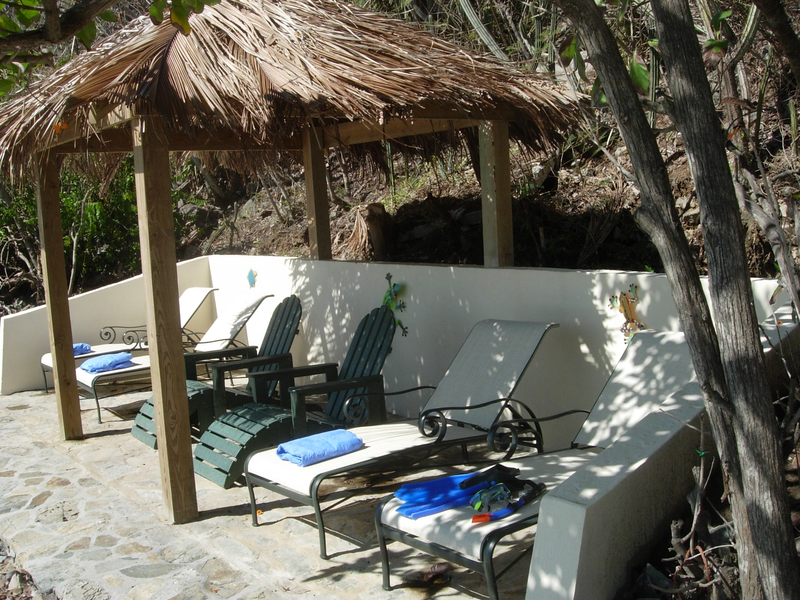 This is the deck off the BALI #2 king suite. 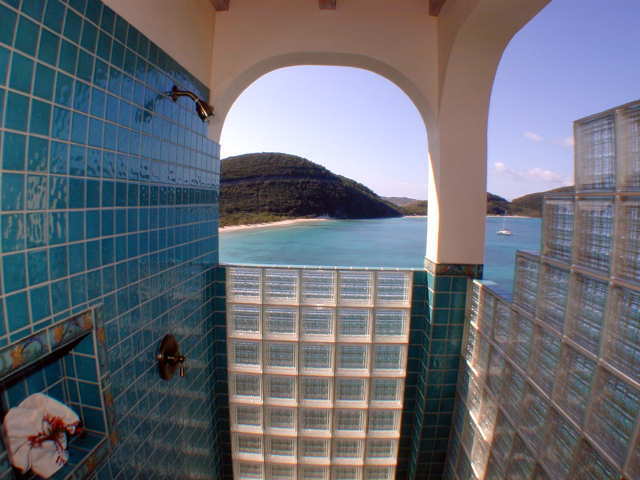 This is the view from the 4-poster bed.